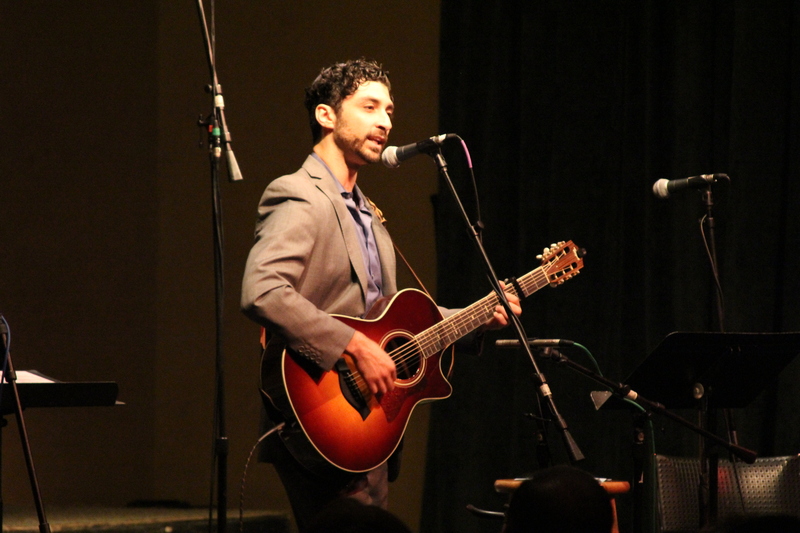 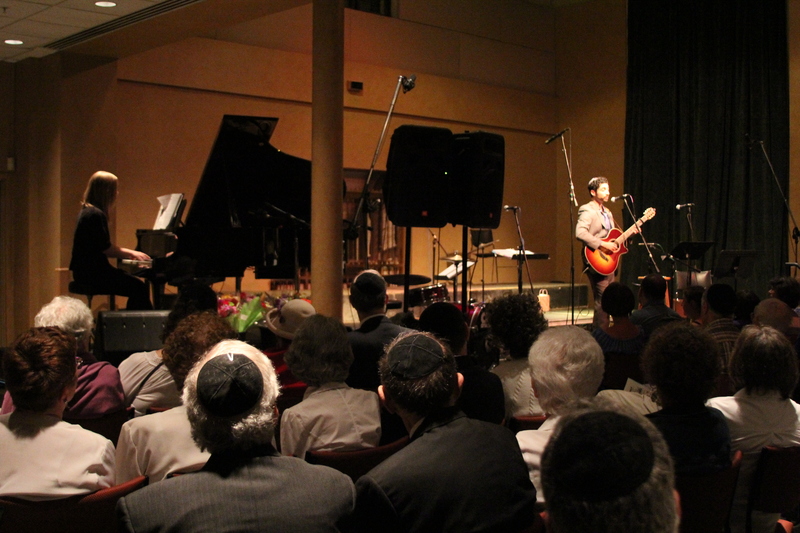 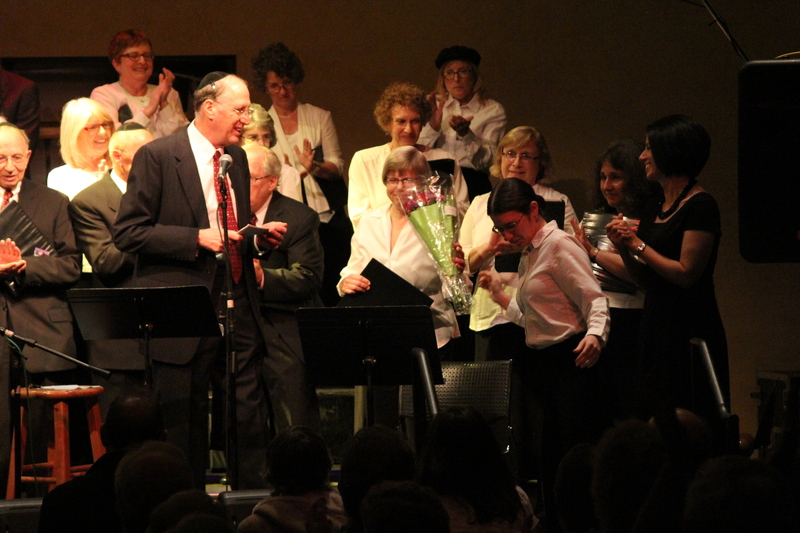 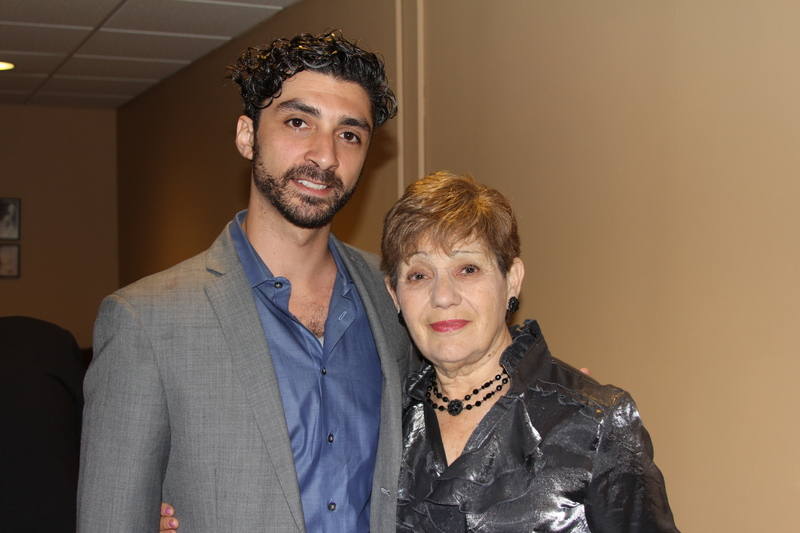 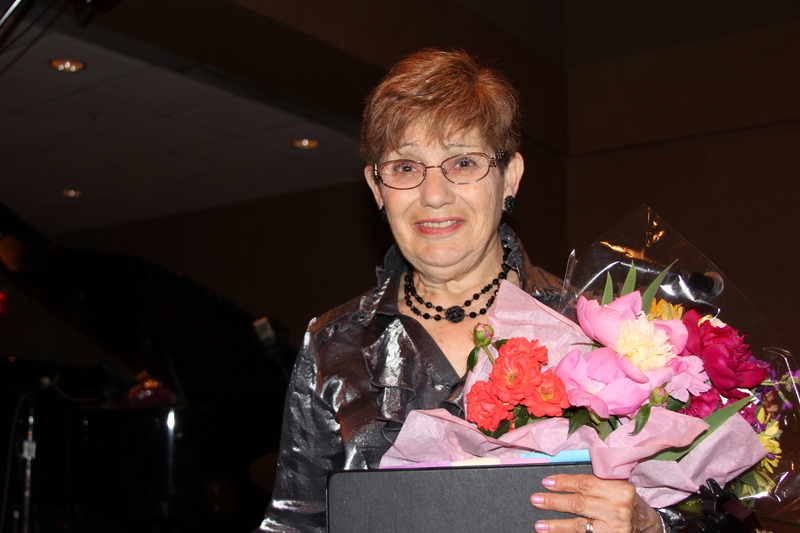 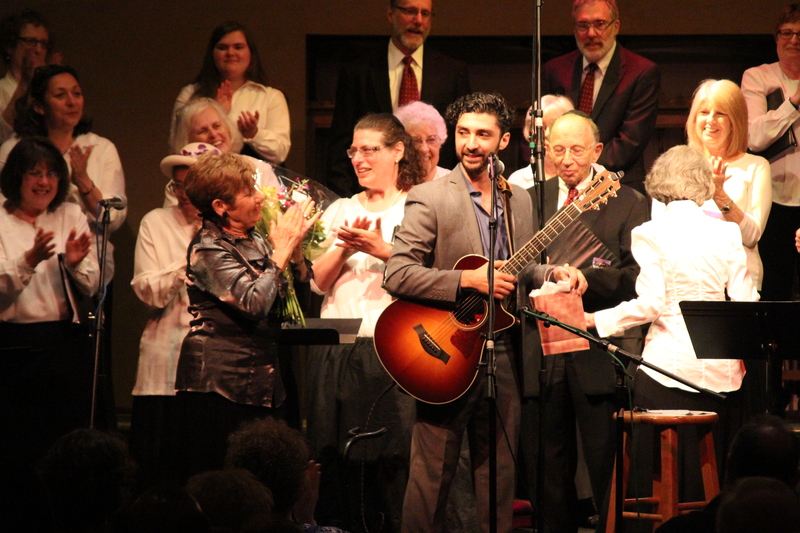 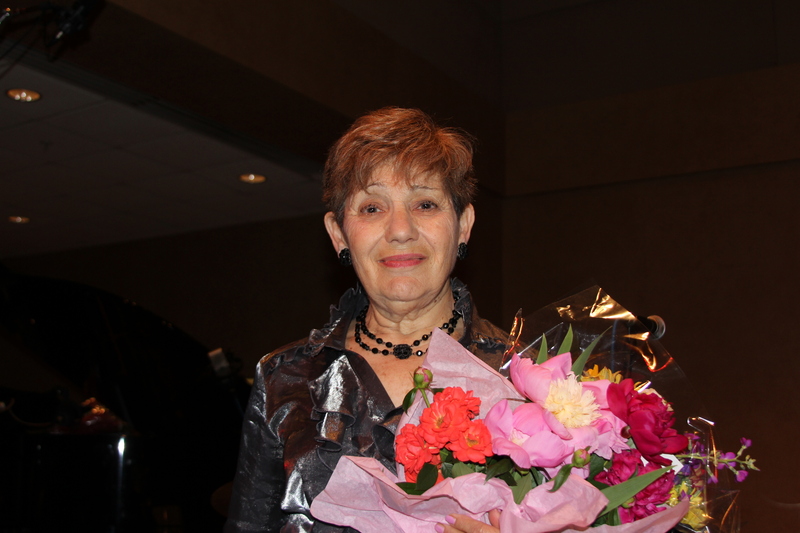 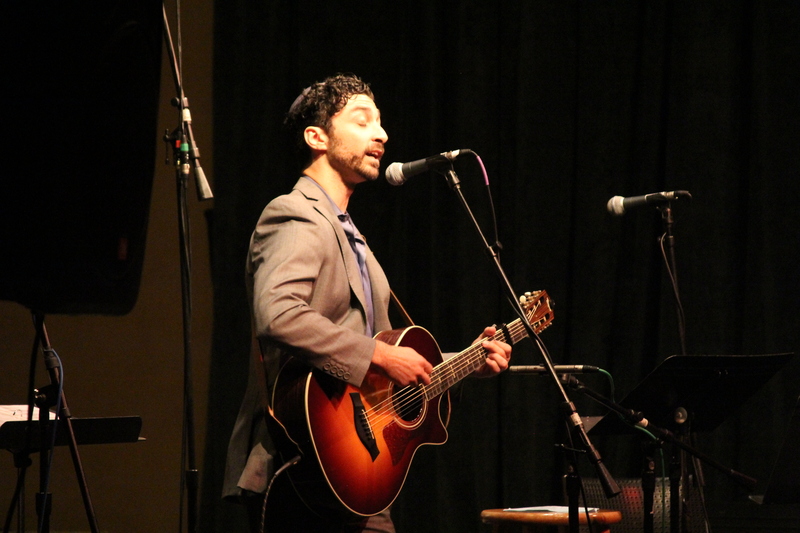 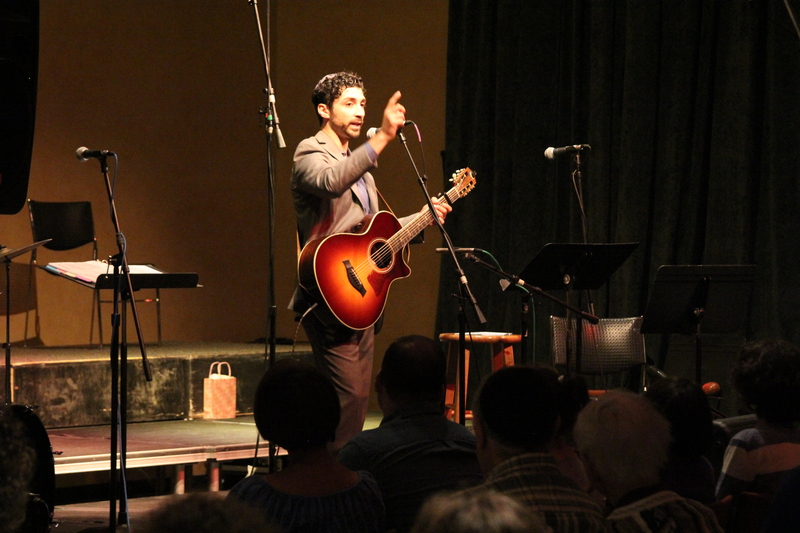 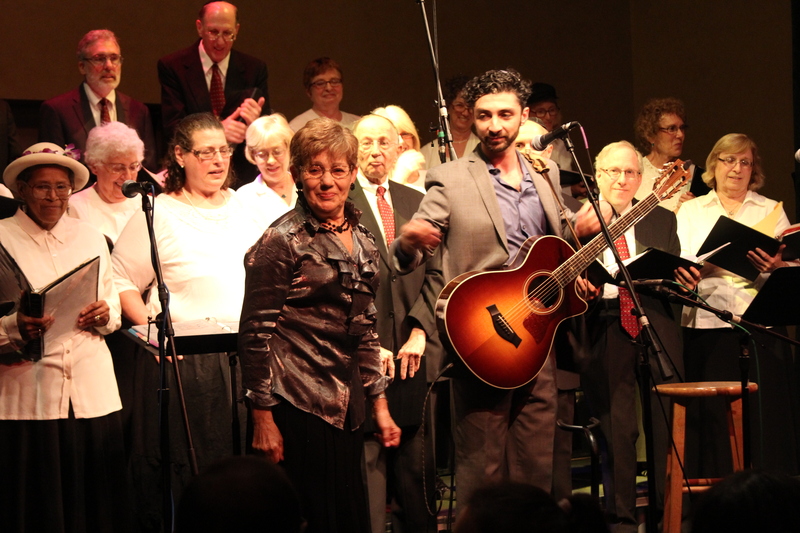 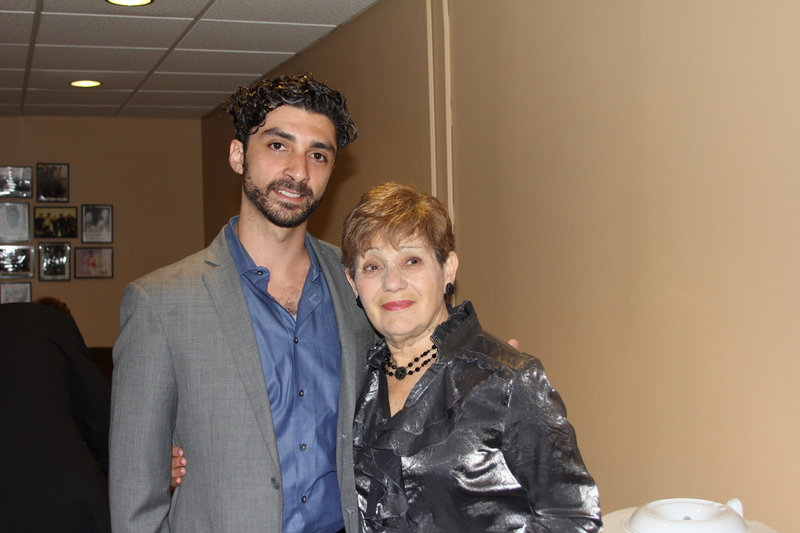 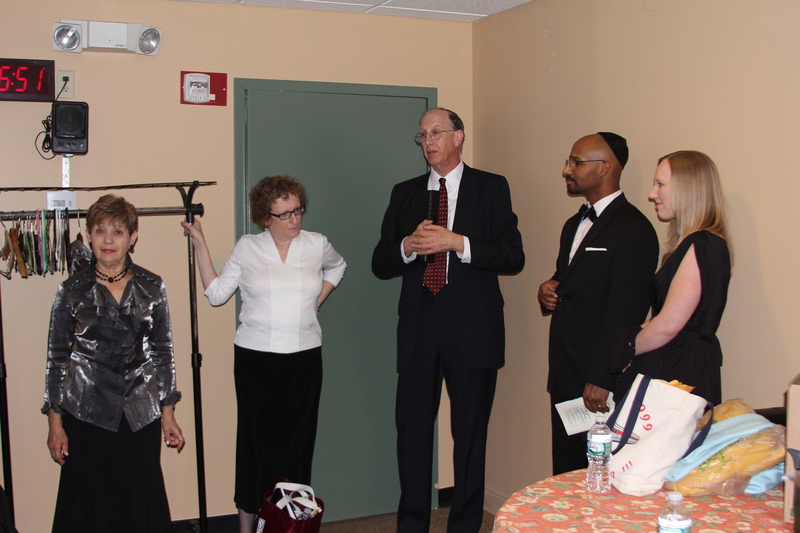 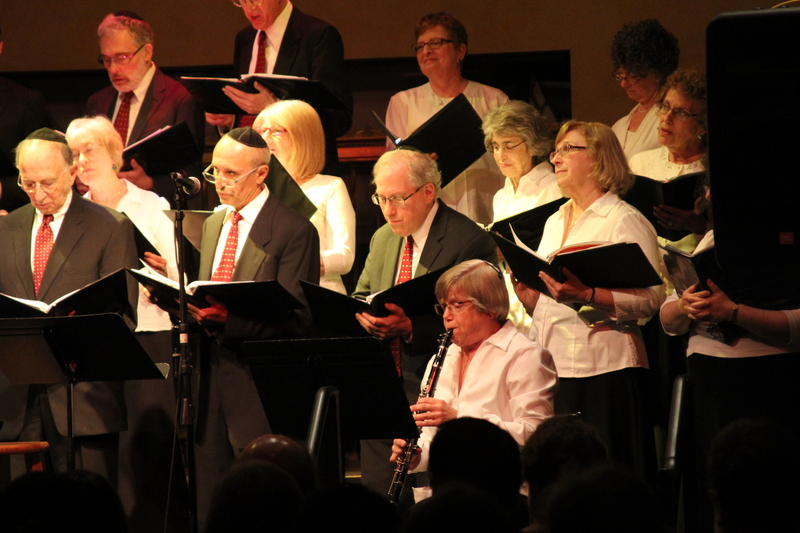 Here are the photos from our 2015 annual concert, “Modern Traditions – A Salute to Contemporary Jewish Music” with guest artist Noah Aronson. 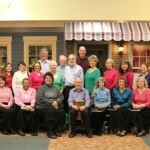 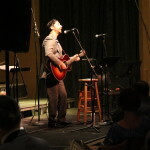 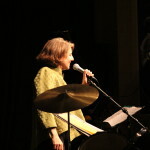 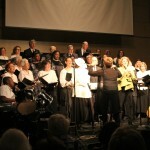 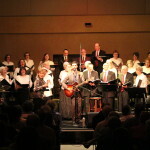 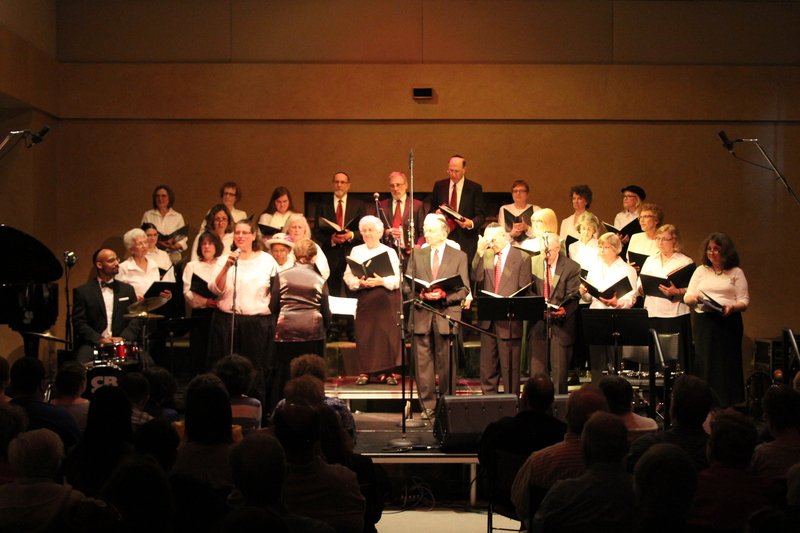 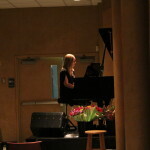 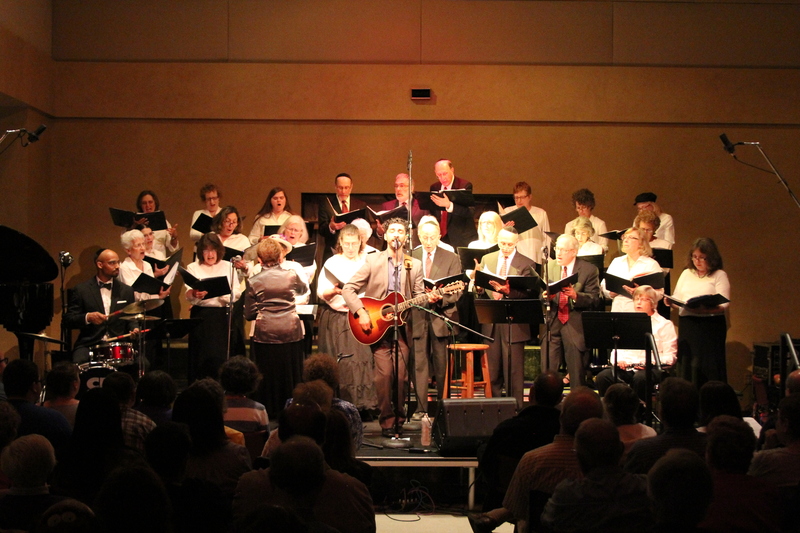 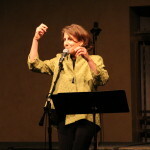 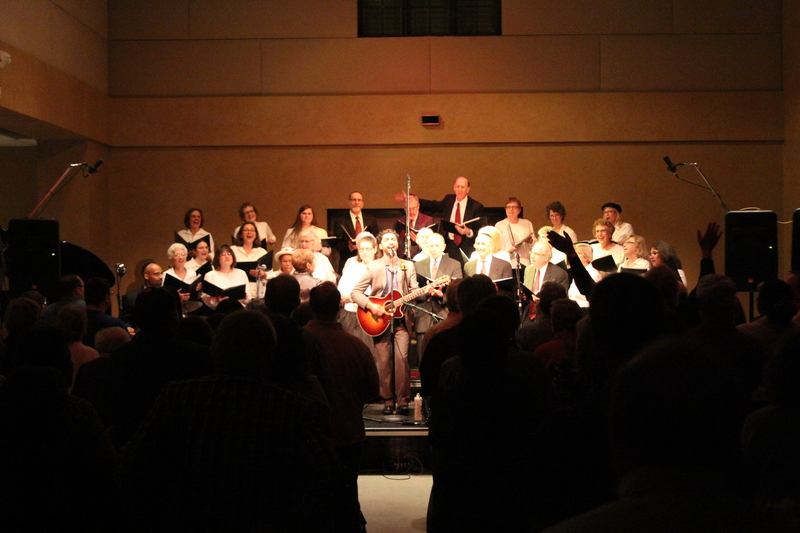 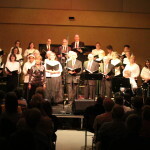 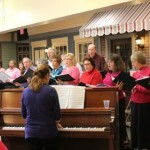 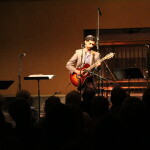 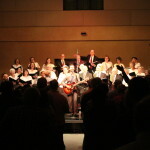 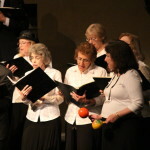 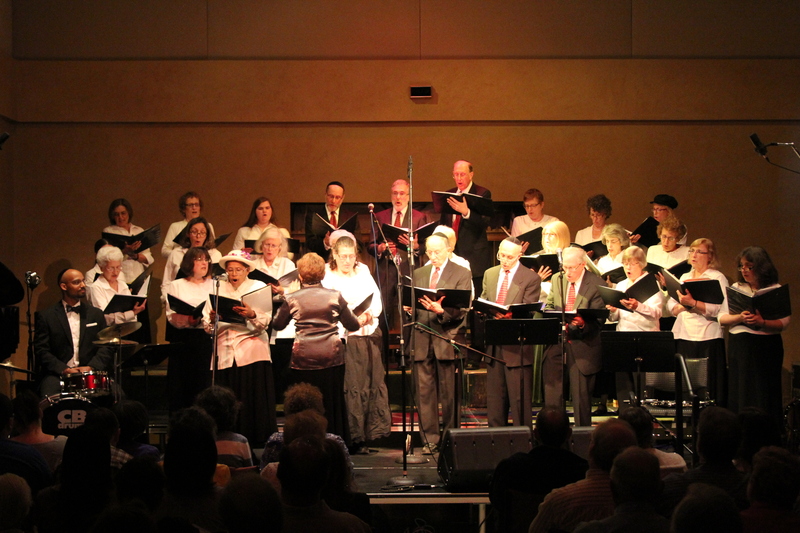 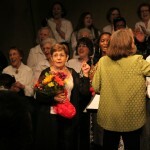 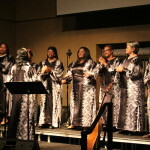 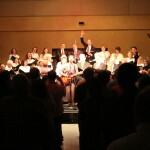 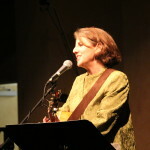 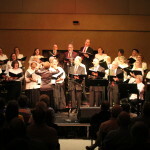 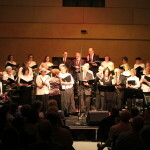 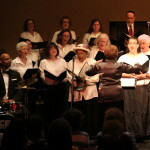 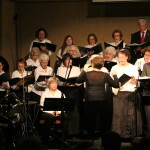 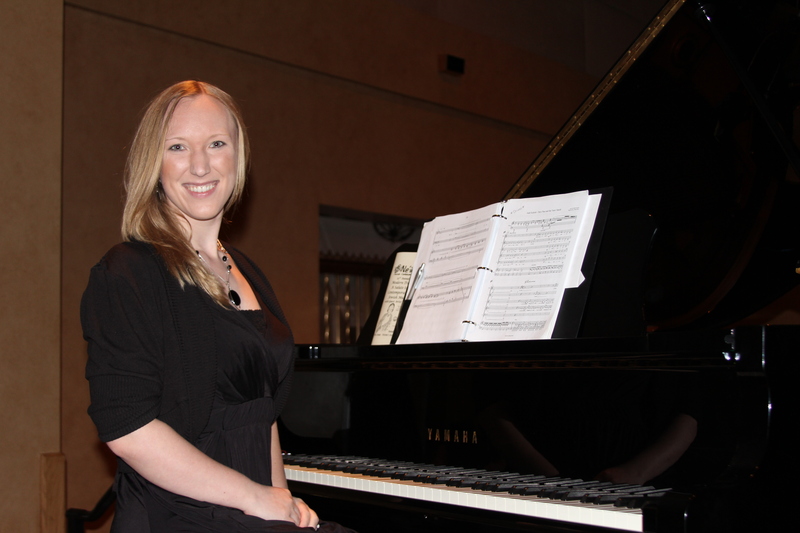 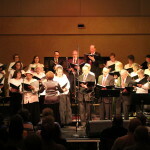 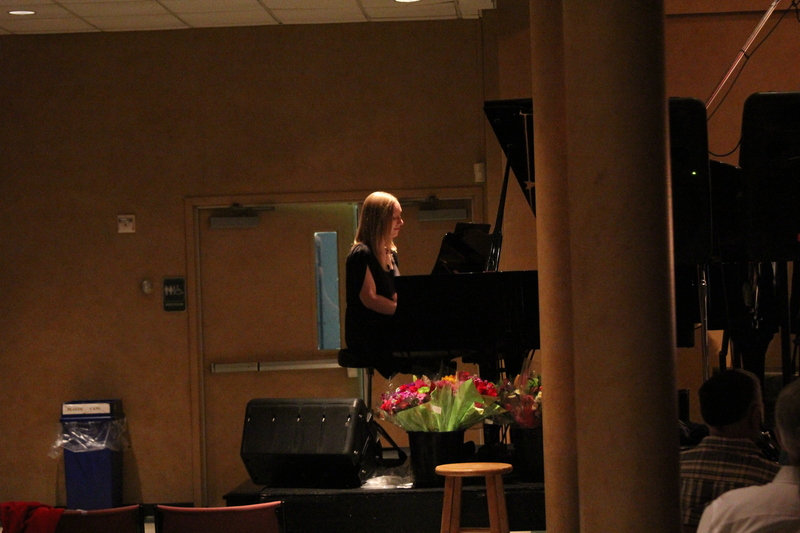 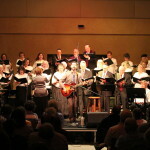 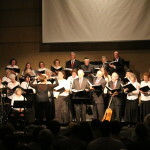 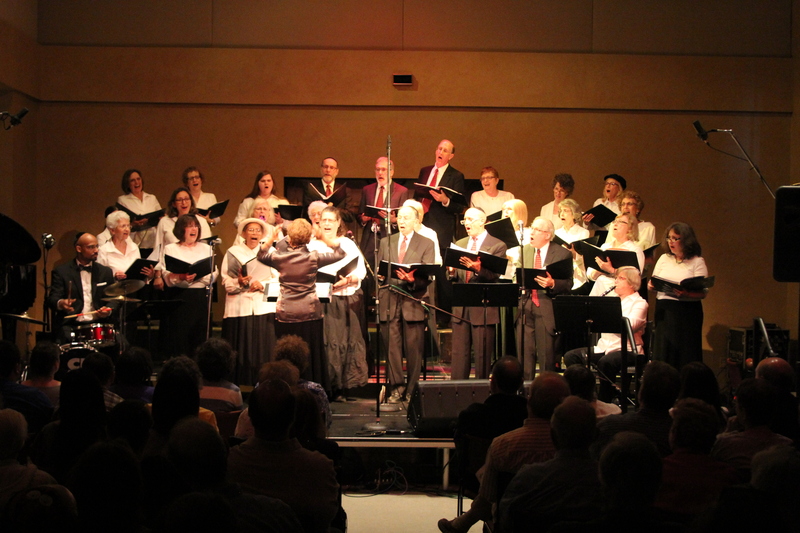 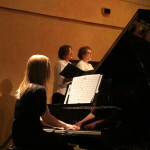 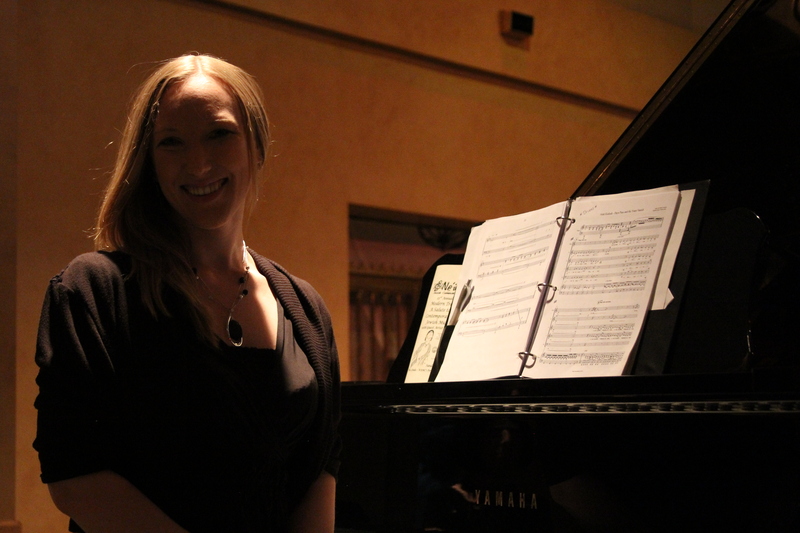 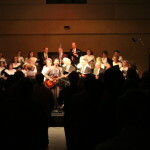 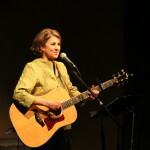 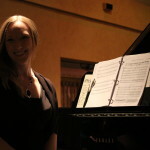 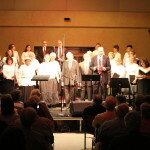 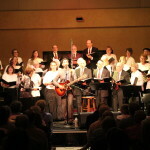 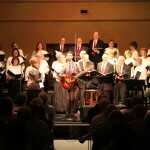 Many thanks to Stephen Justa for the concert photography! 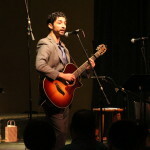 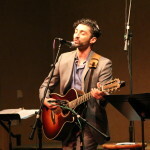 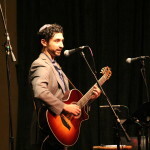 Noah Aronson is an energetic and soulful composer/performer whose unique musical style propels his music into communities across the country and in Israel. 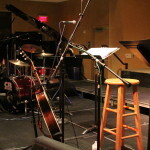 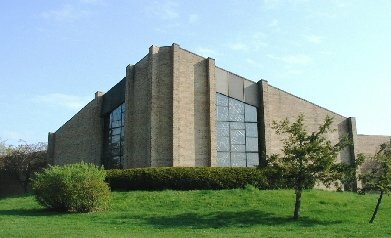 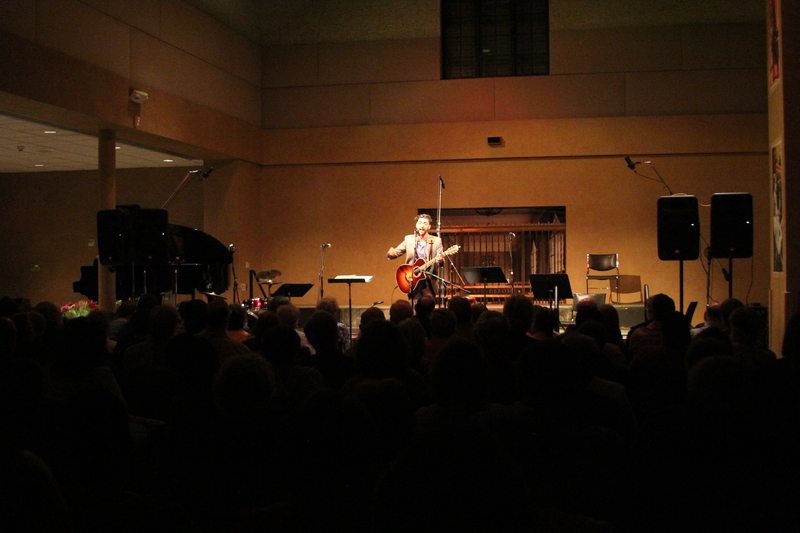 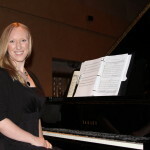 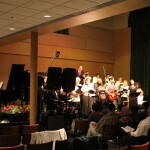 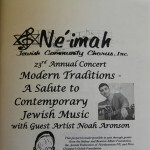 While studying Piano and Jazz Composition at Berklee College of Music, Noah simultaneously held the position of Composer-in-Residence at Temple Beth Elohim in Wellesley, Massachusetts; teaching and composing a wide-array of new liturgical works. 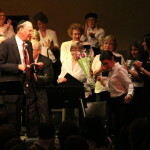 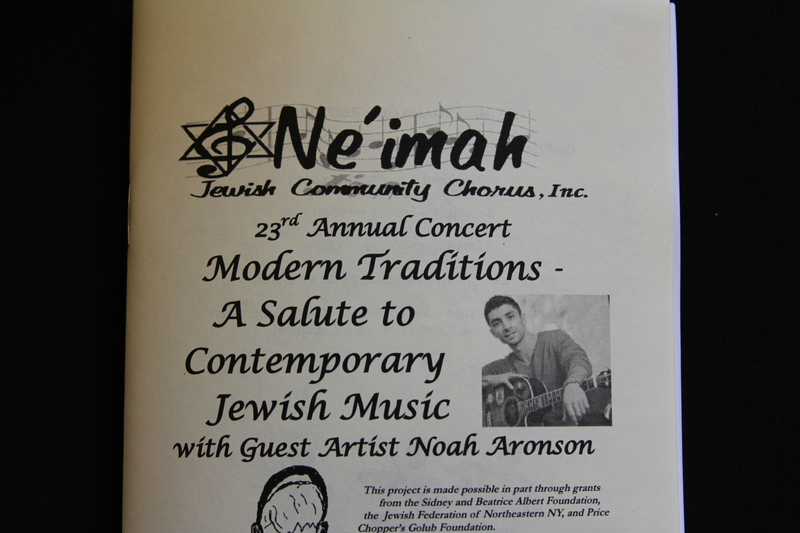 Noah conducted the Manhattan HaZamir Choir from 2008-2010 and his choral music received an honorable mention in the 2009 GTM Young Composer’s Contest. 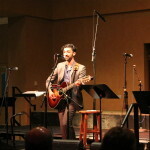 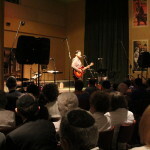 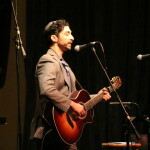 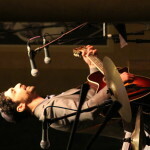 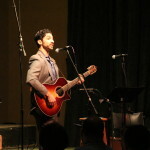 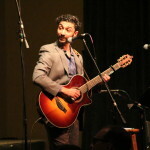 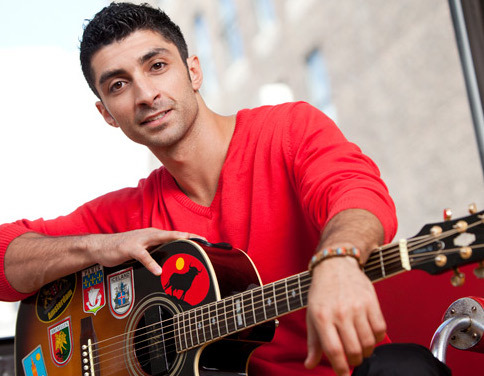 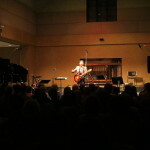 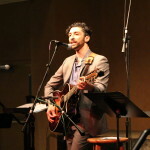 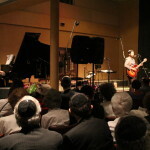 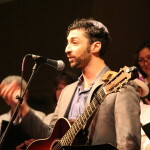 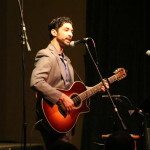 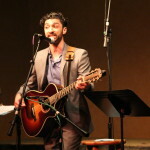 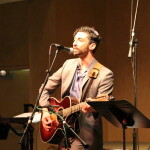 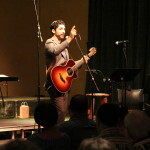 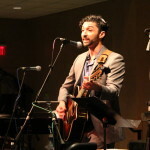 Noah released his first solo Jewish album in May 2011 and the title song ‘Am I Awake’ was a winner in the NewVoices song competition in July 2011. 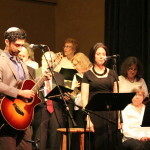 Noah’s latest project ‘Left Side of the Page’ sets to music some of the poetic selections from the Mishkan Tefilah Prayer Book. 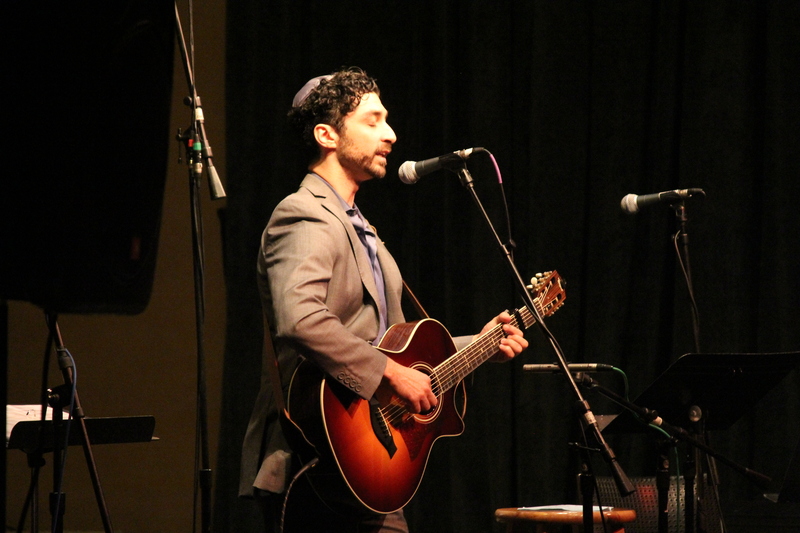 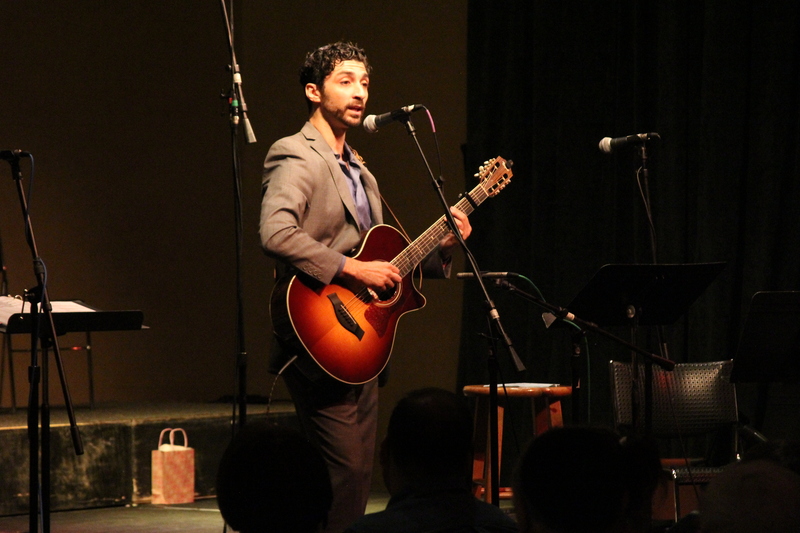 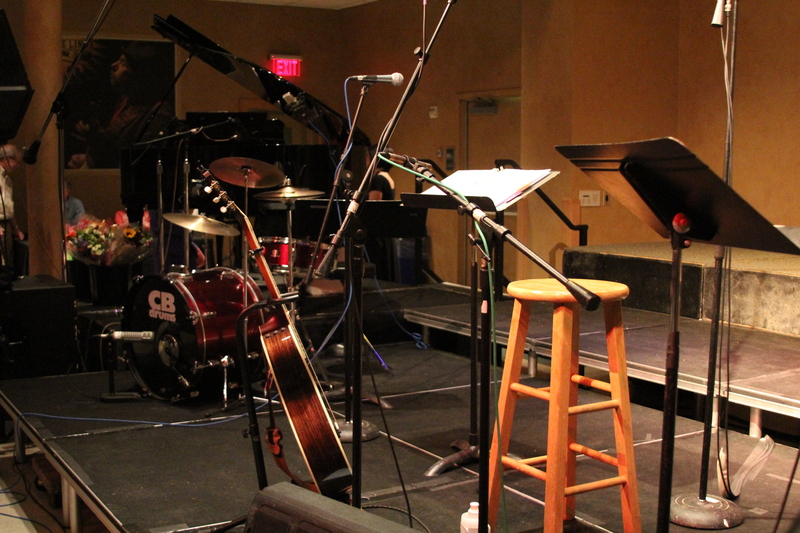 He had the distinct honor of presenting music from this project at the 2013 URJ Biennial as he lead a community of over 5000 people in Shabbat prayer. 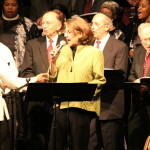 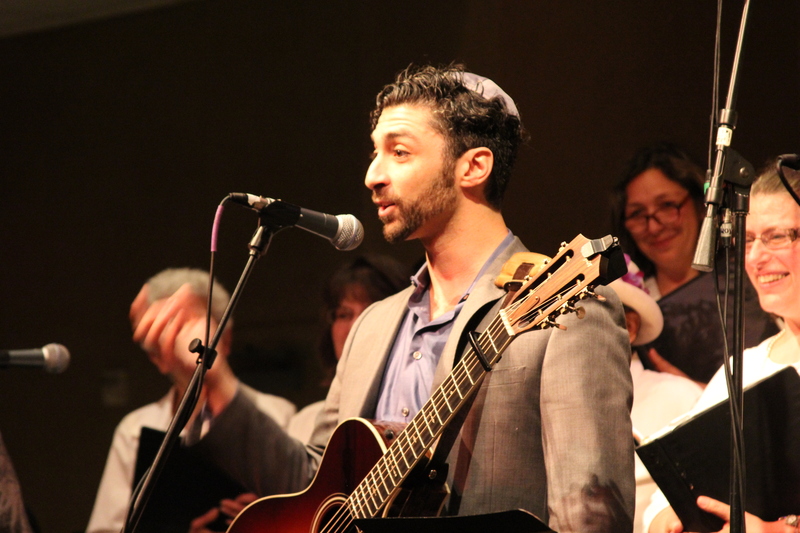 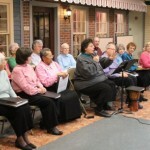 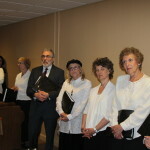 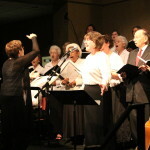 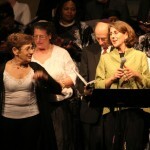 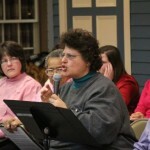 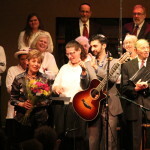 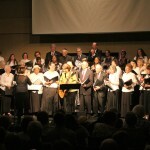 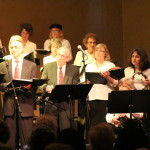 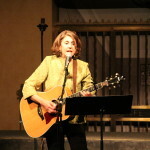 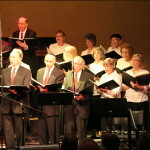 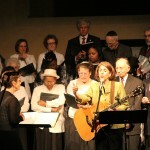 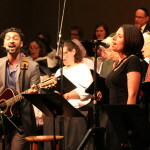 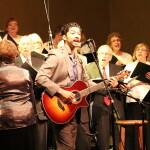 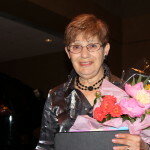 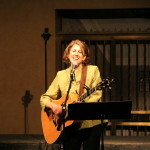 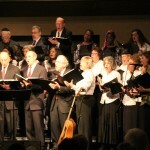 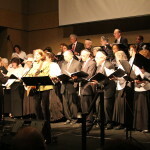 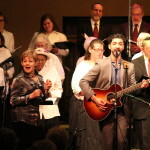 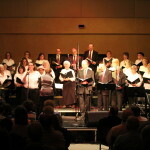 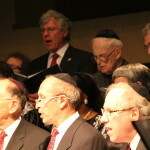 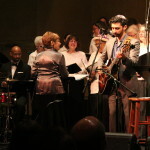 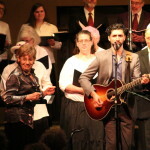 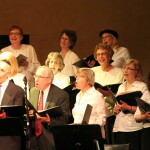 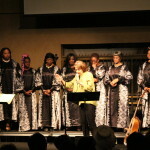 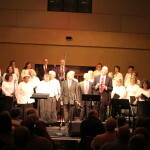 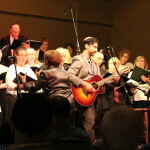 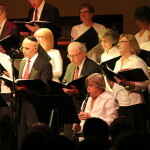 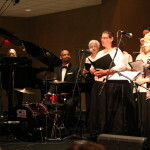 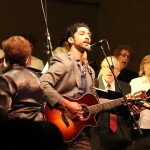 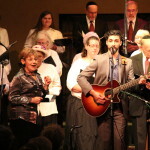 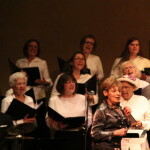 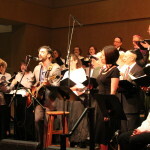 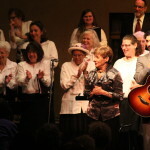 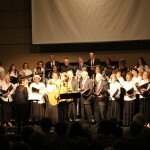 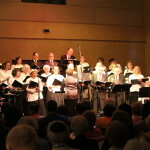 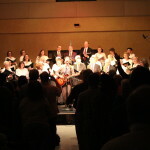 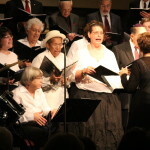 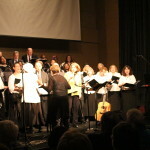 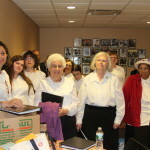 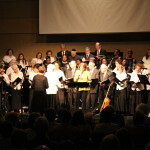 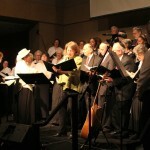 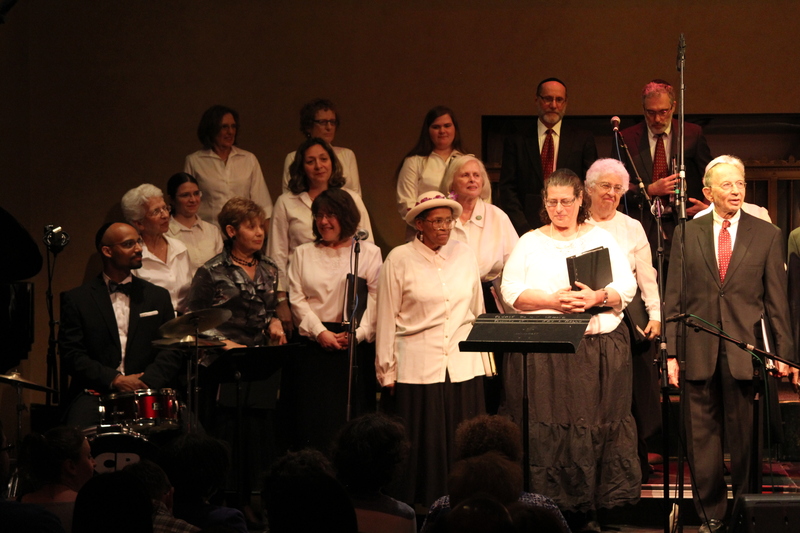 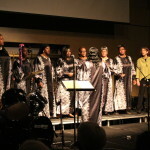 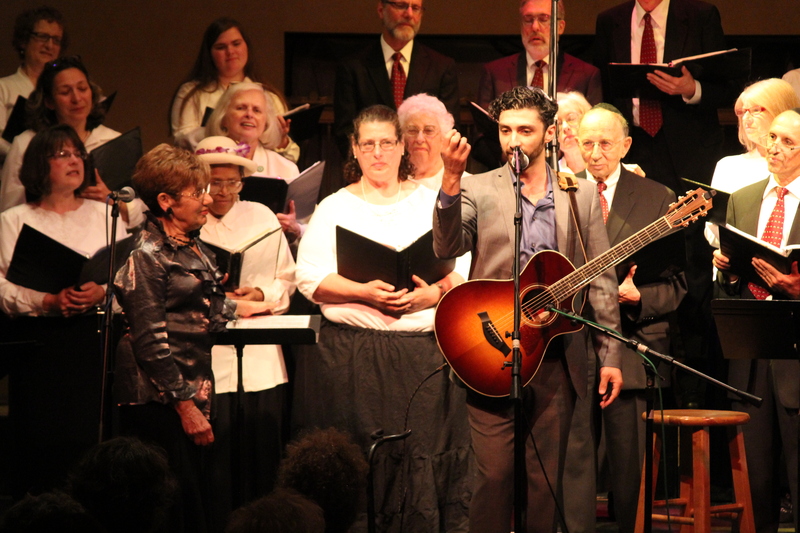 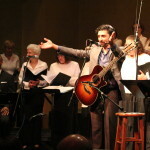 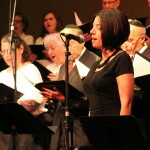 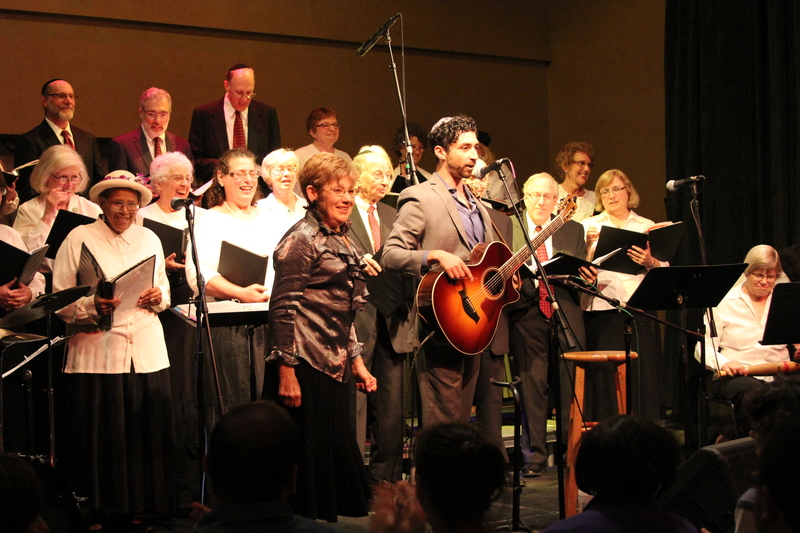 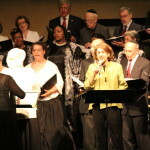 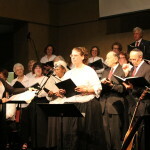 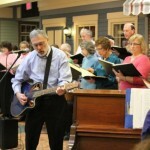 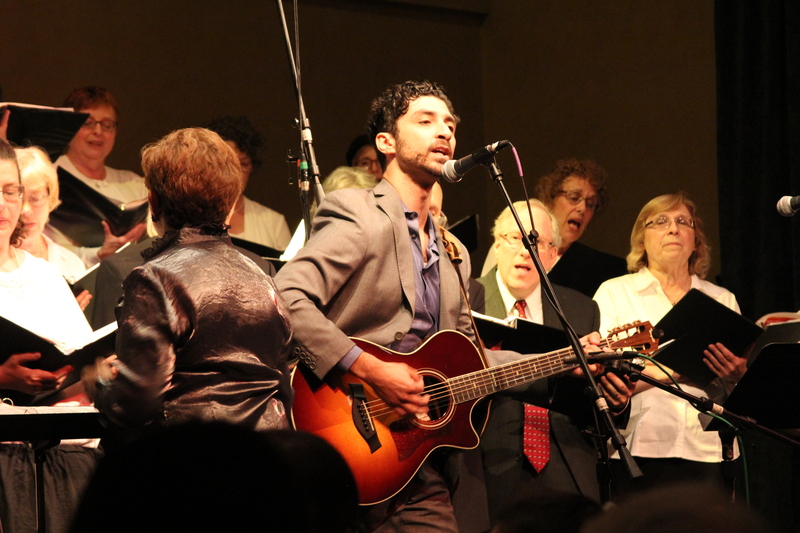 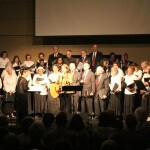 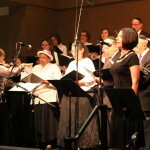 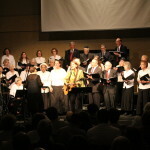 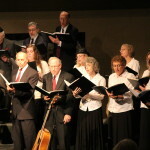 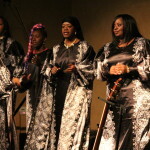 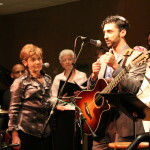 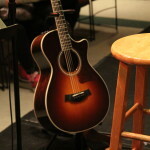 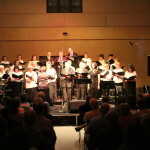 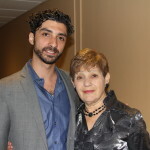 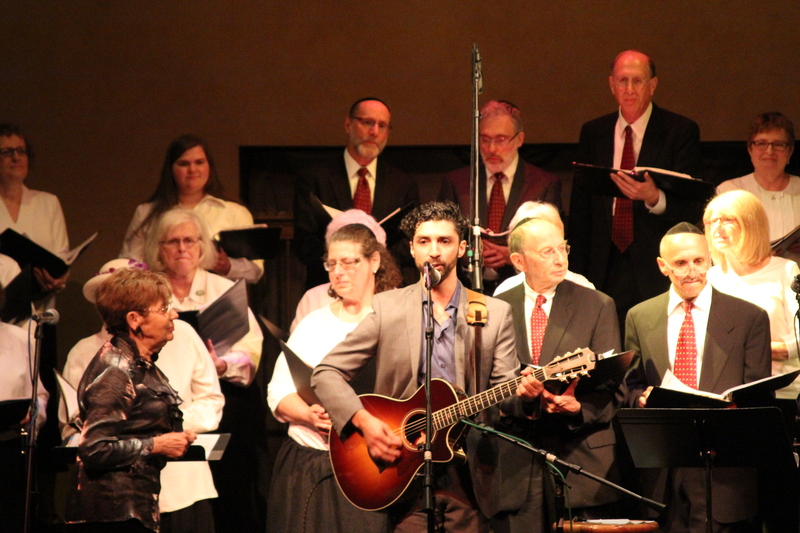 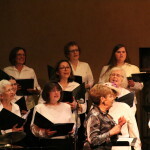 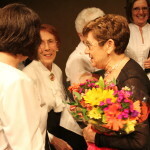 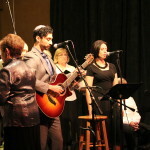 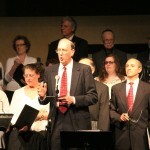 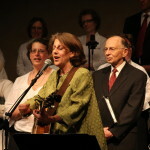 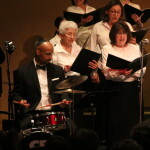 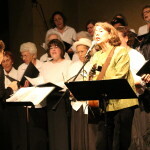 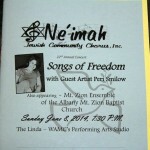 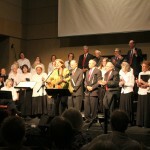 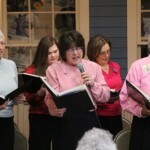 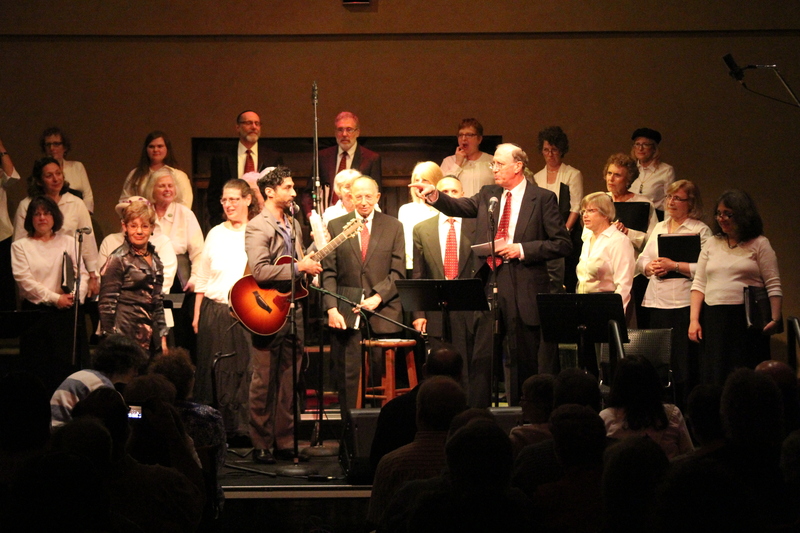 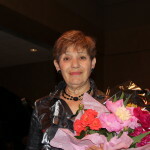 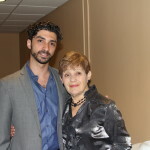 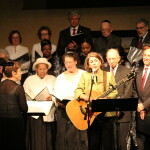 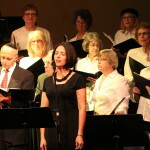 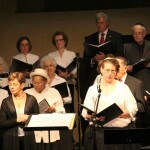 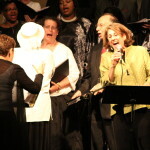 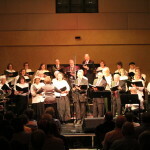 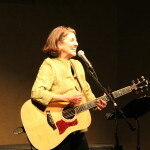 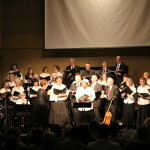 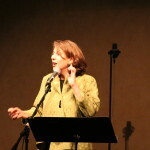 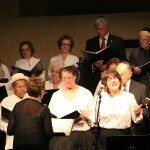 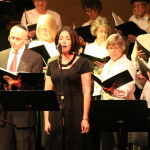 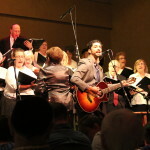 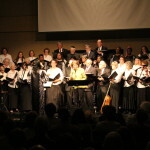 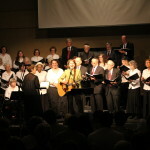 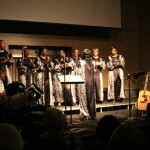 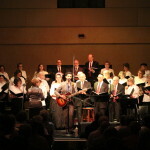 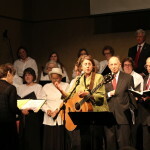 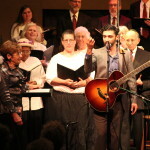 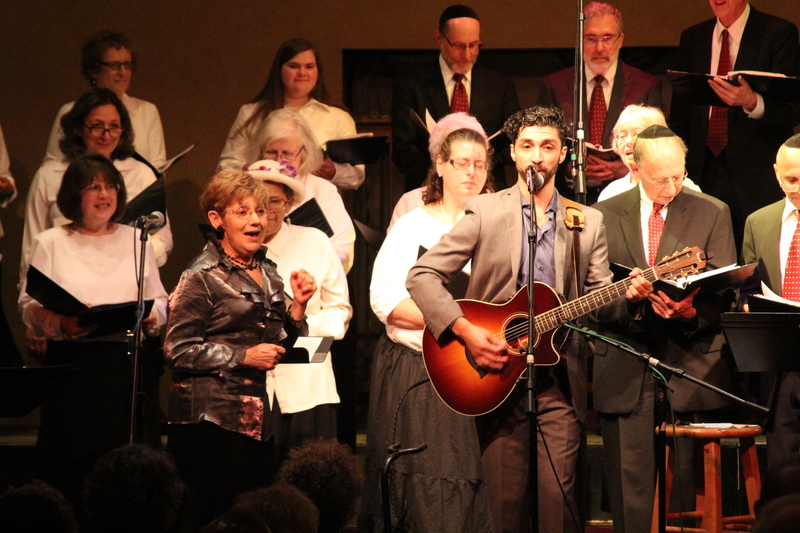 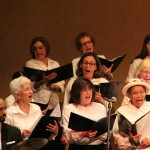 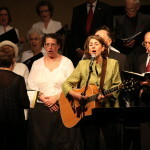 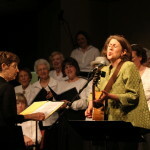 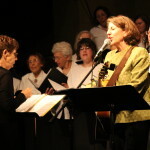 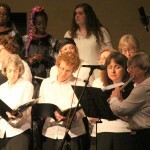 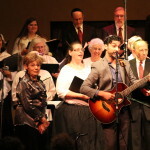 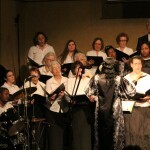 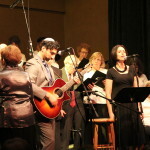 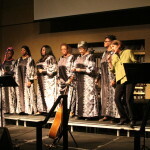 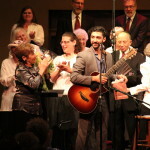 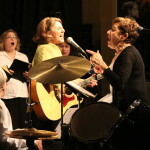 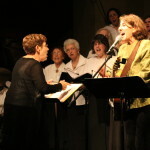 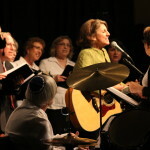 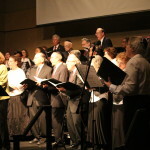 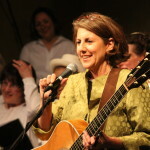 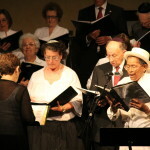 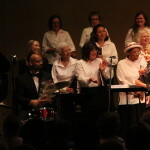 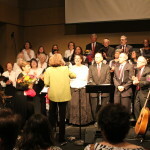 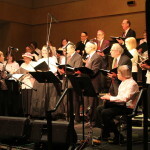 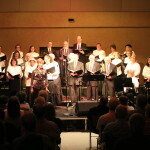 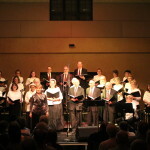 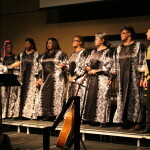 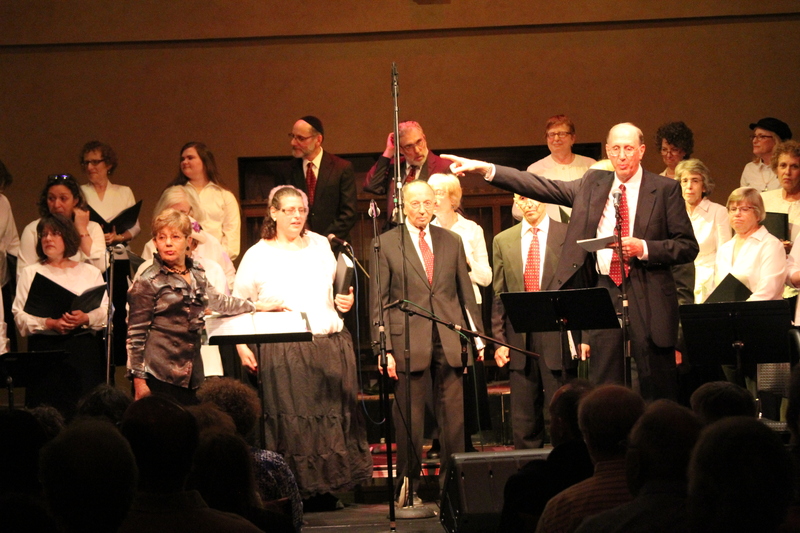 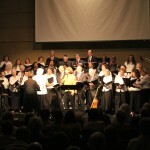 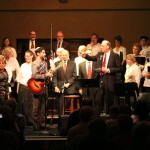 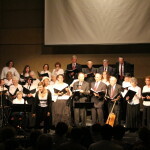 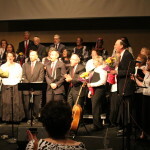 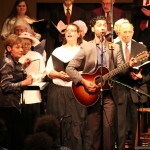 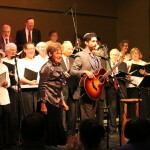 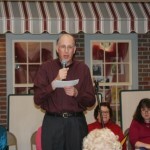 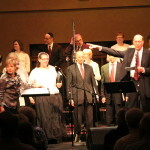 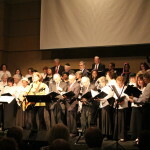 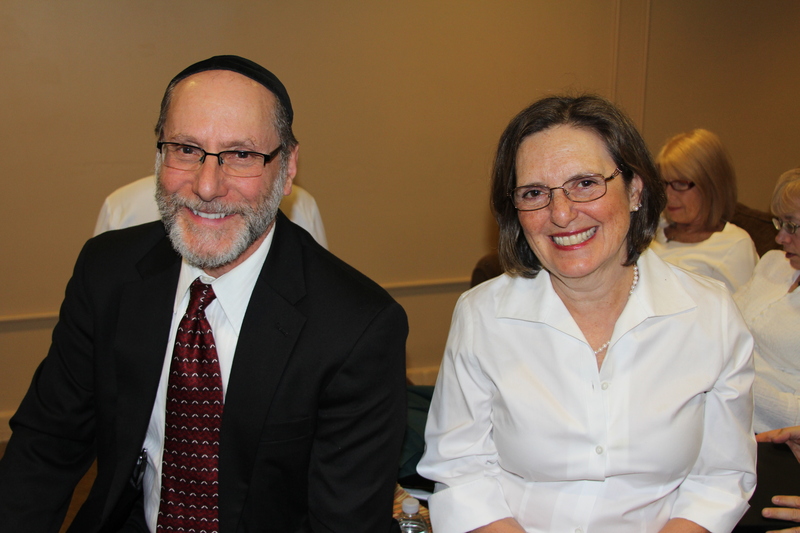 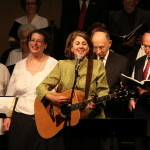 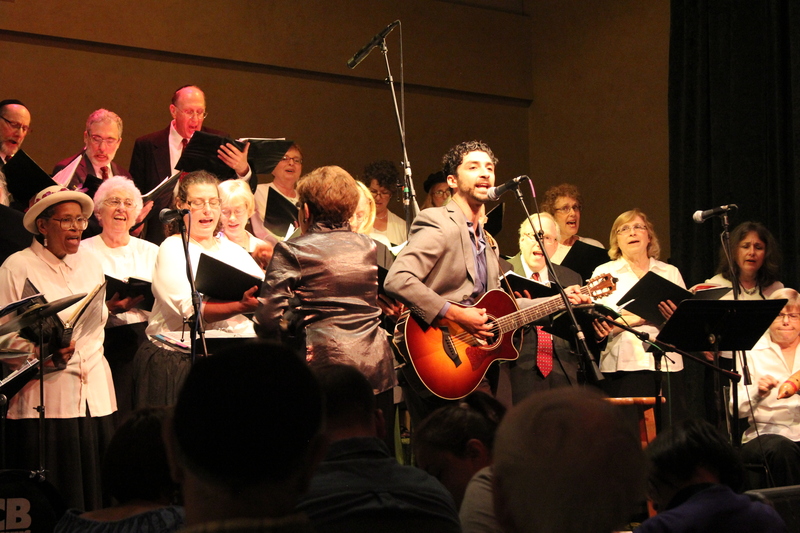 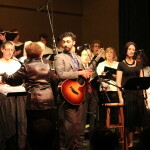 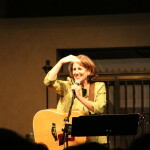 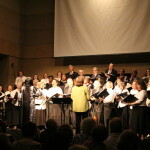 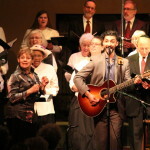 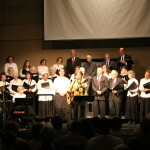 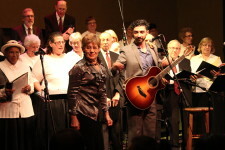 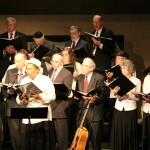 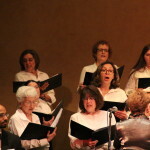 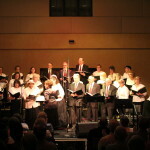 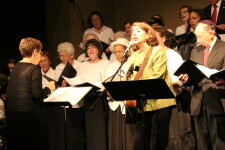 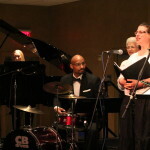 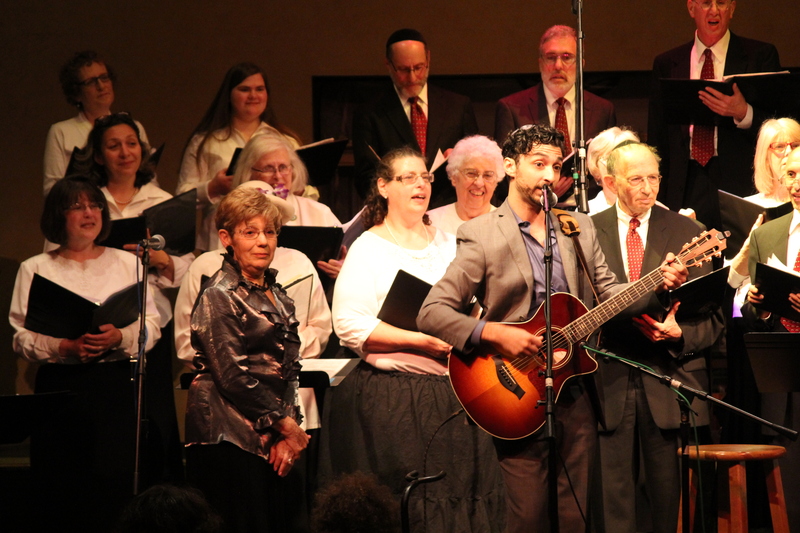 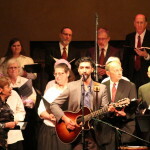 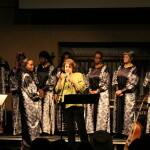 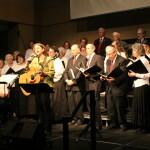 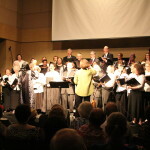 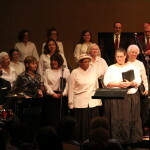 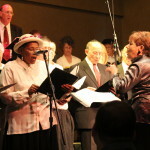 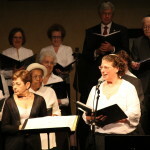 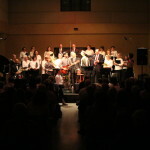 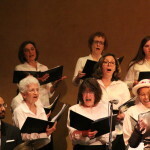 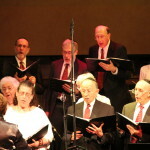 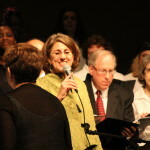 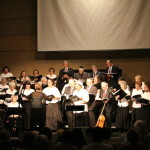 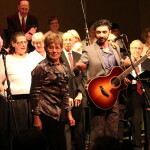 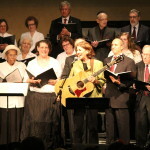 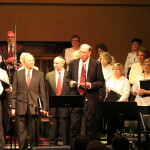 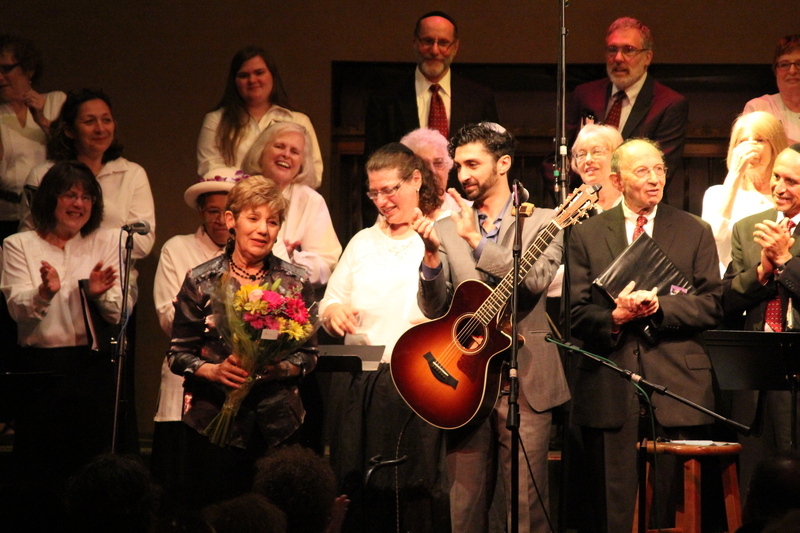 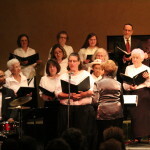 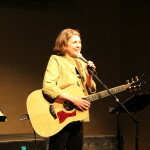 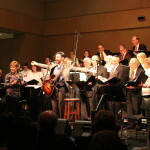 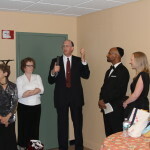 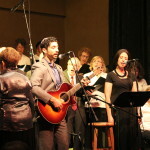 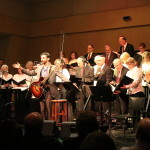 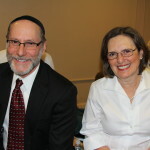 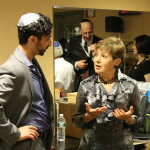 Noah’s music is now sung in progressive communities worldwide and has been included as part of the cantorial curriculum at the Hebrew Union College Debbie Friedman School of Sacred Music. 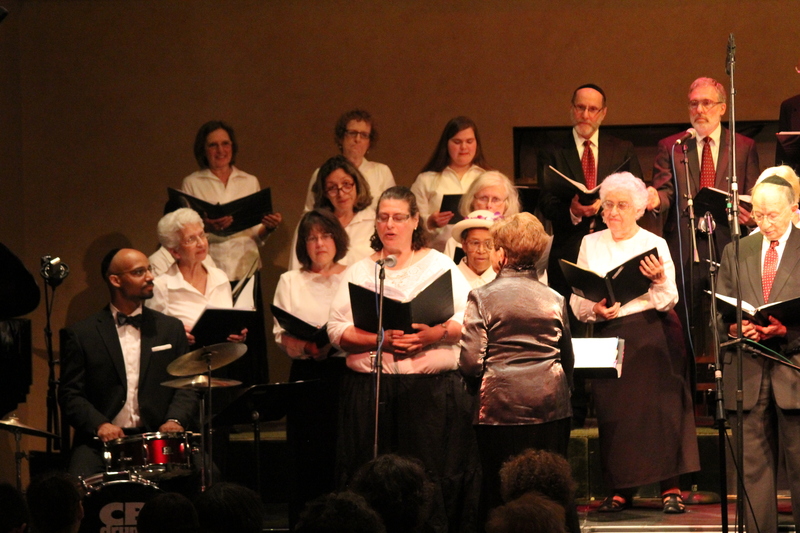 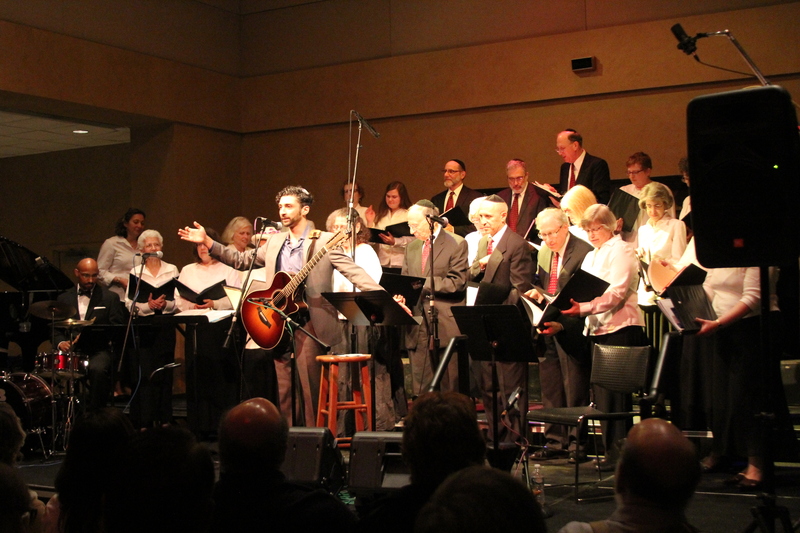 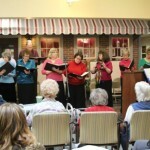 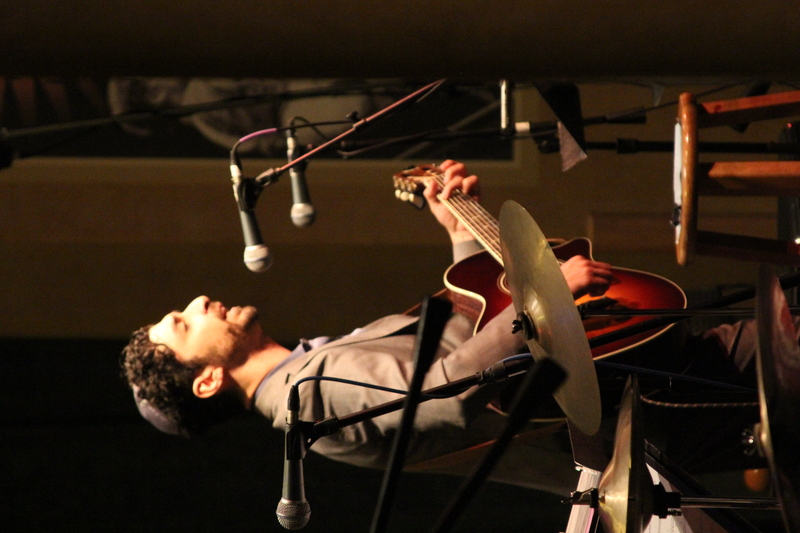 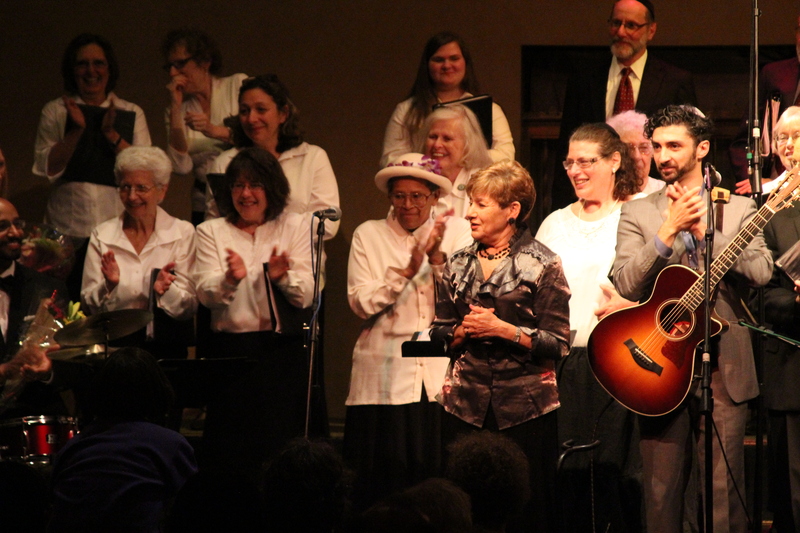 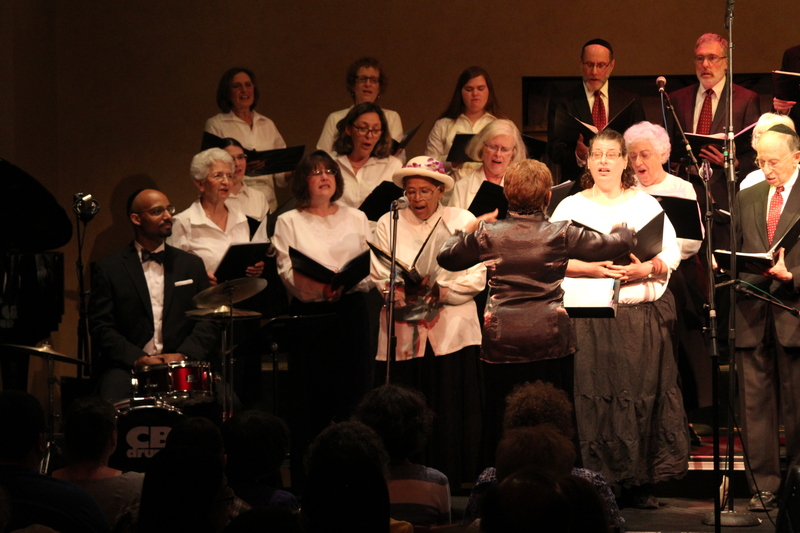 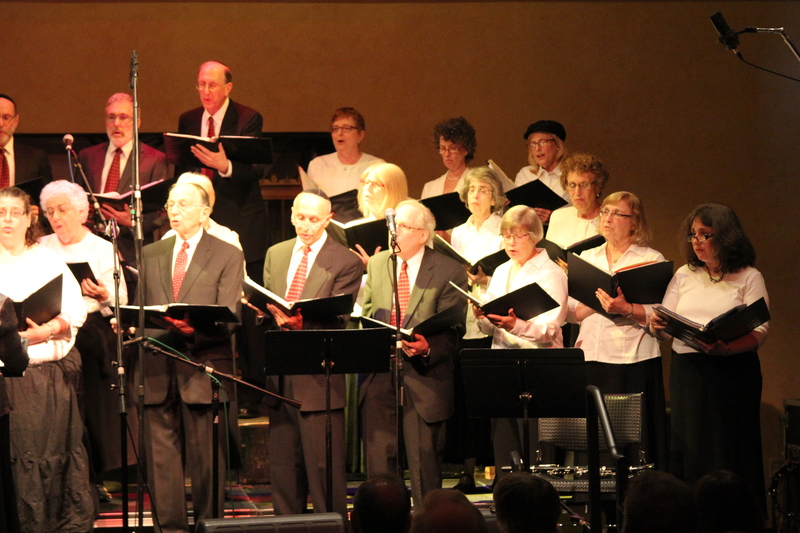 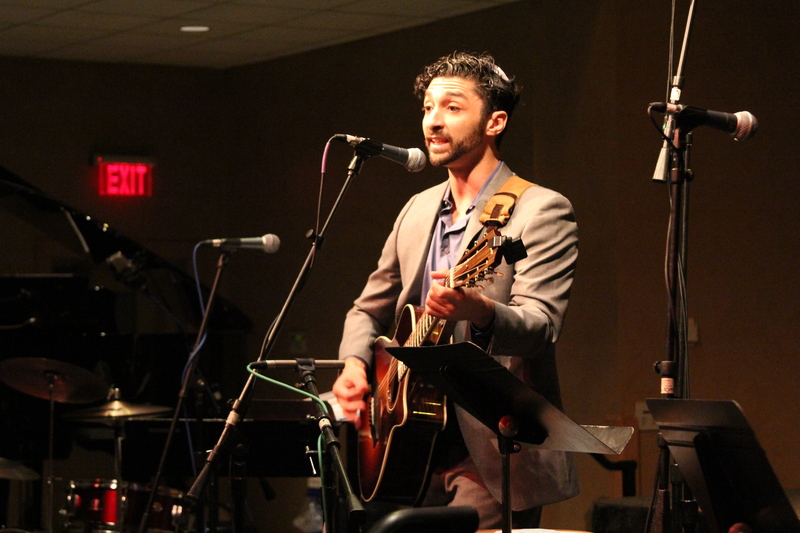 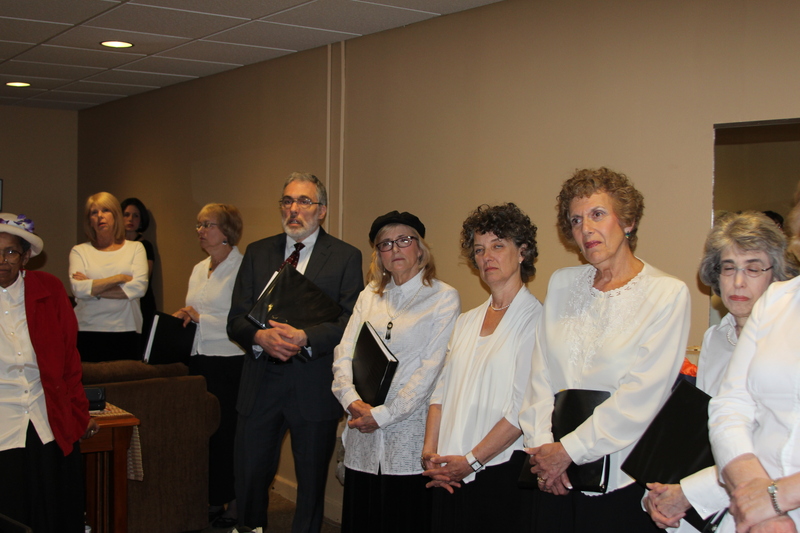 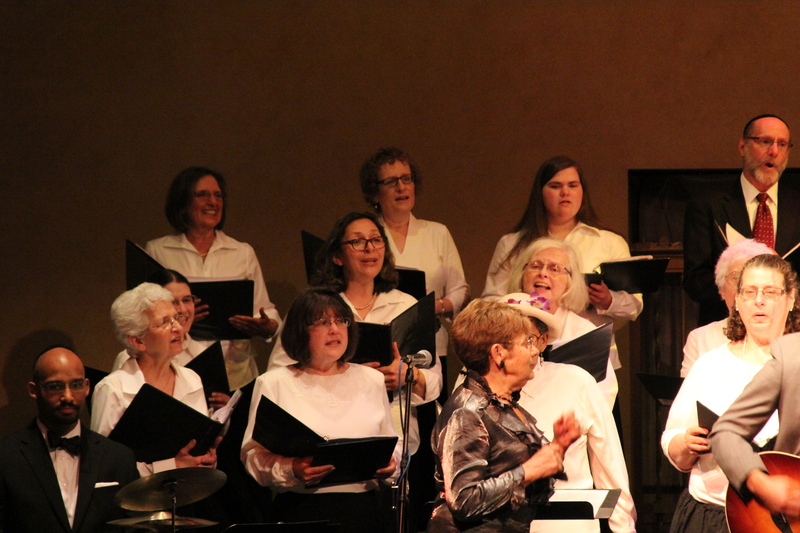 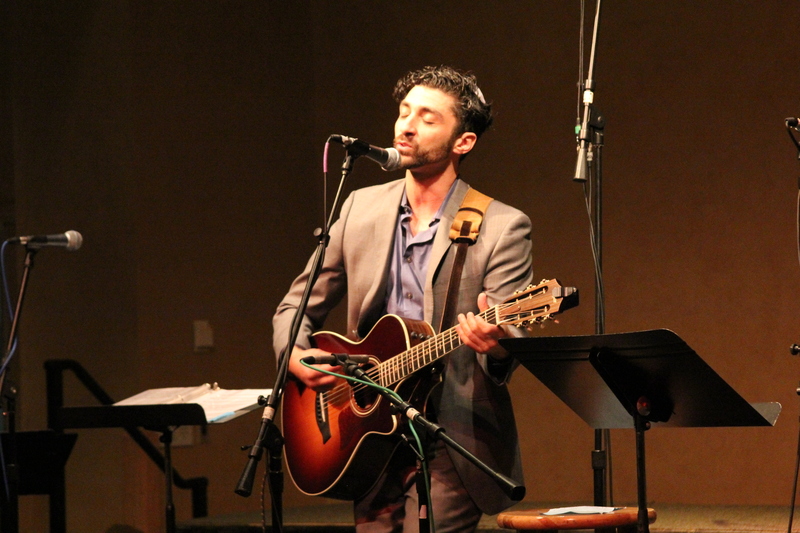 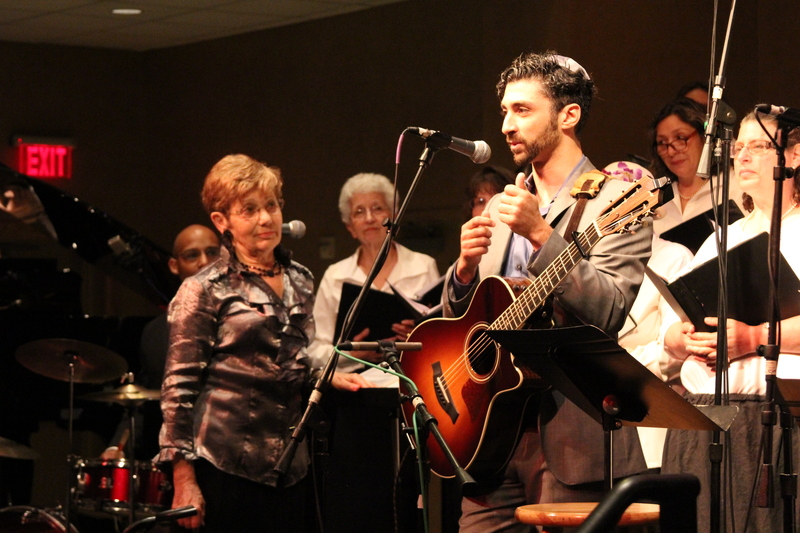 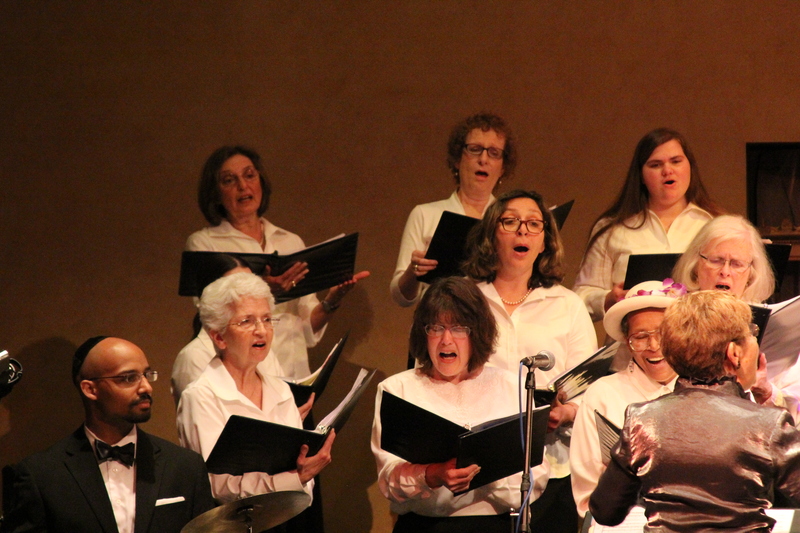 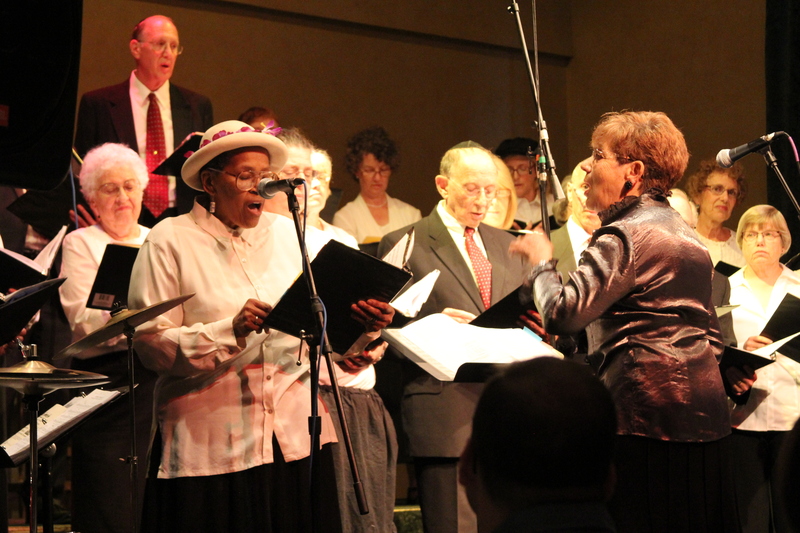 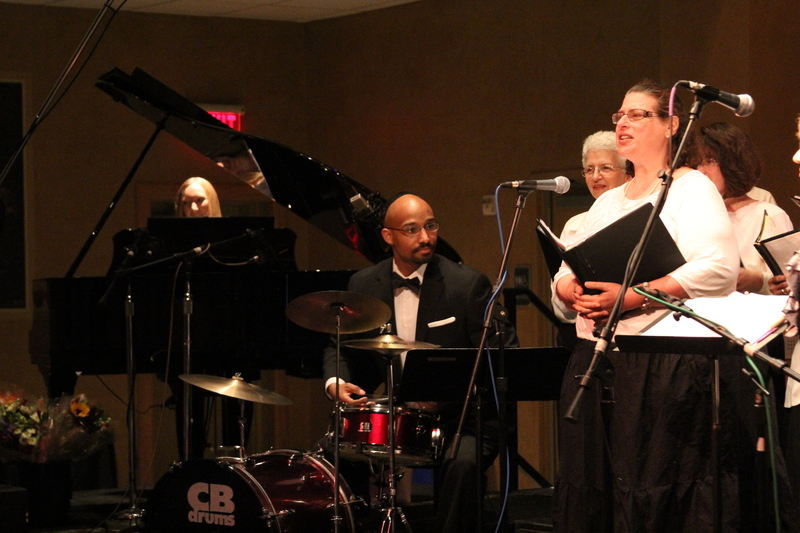 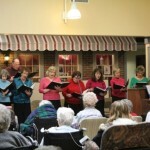 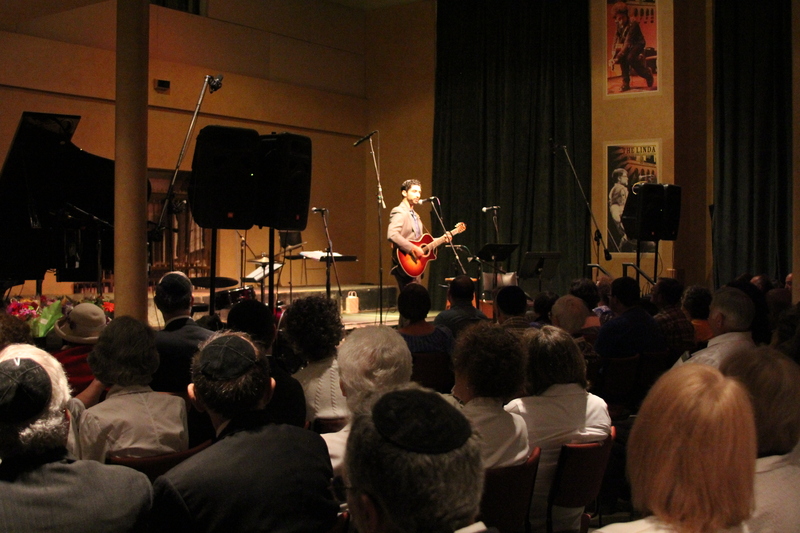 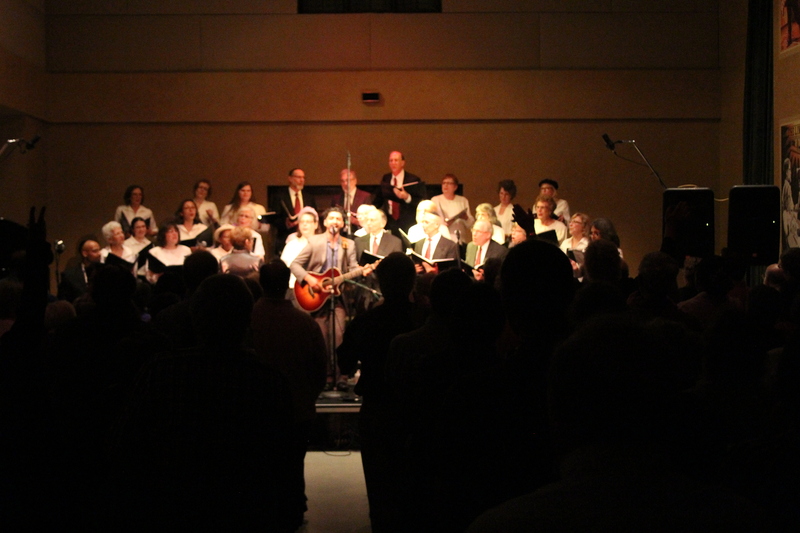 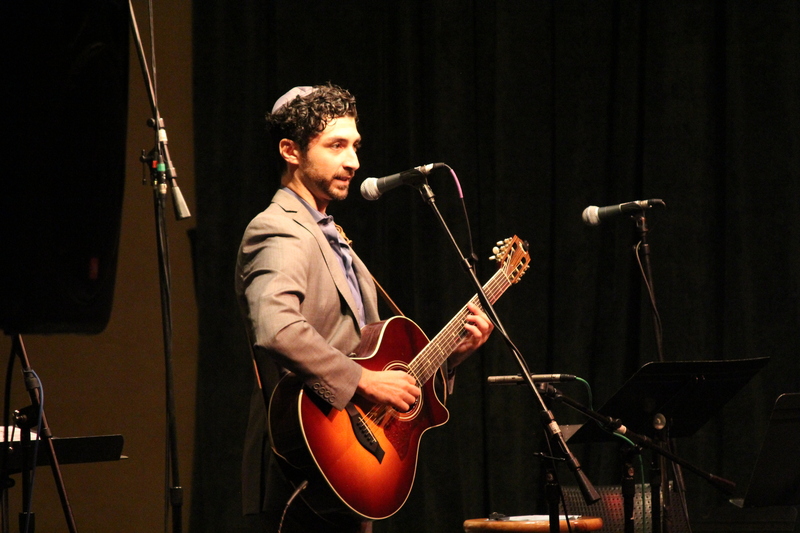 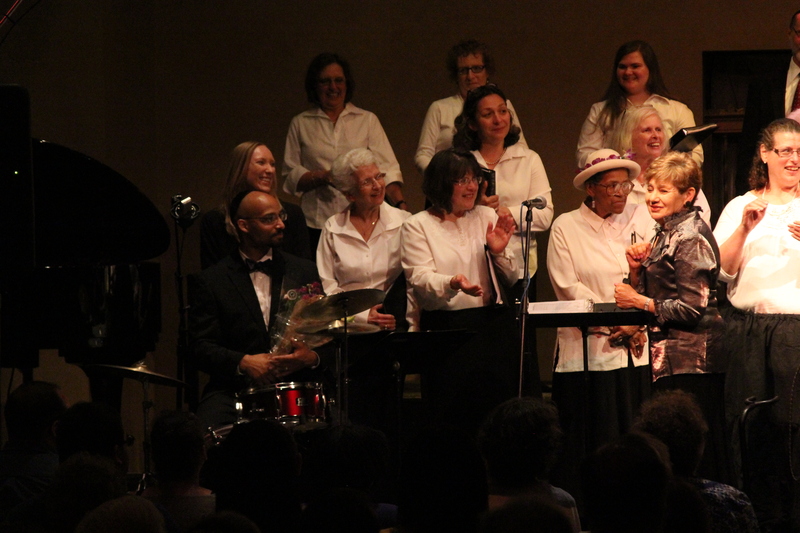 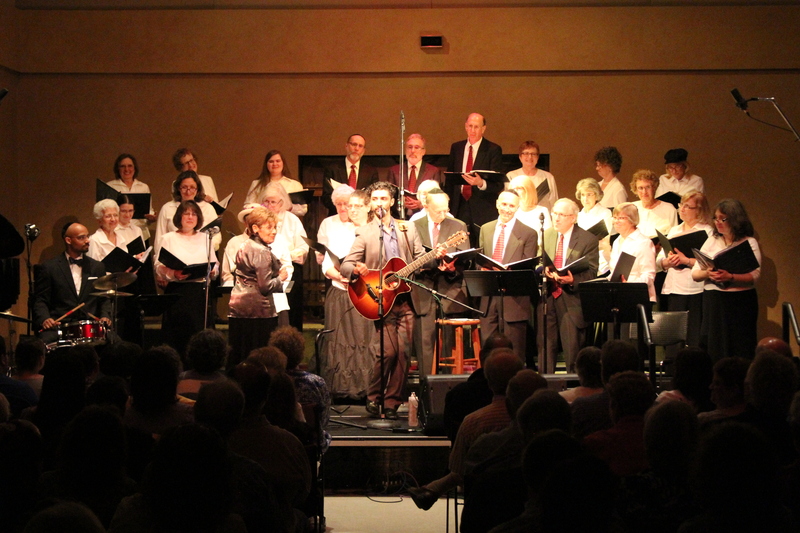 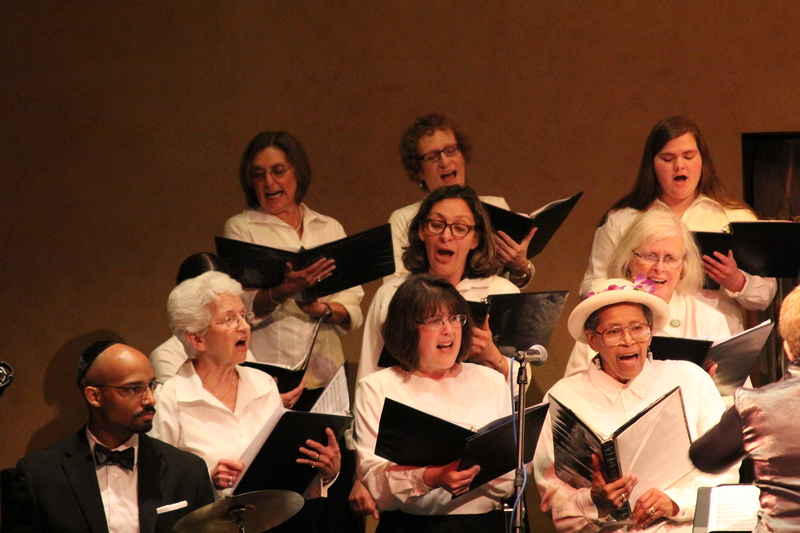 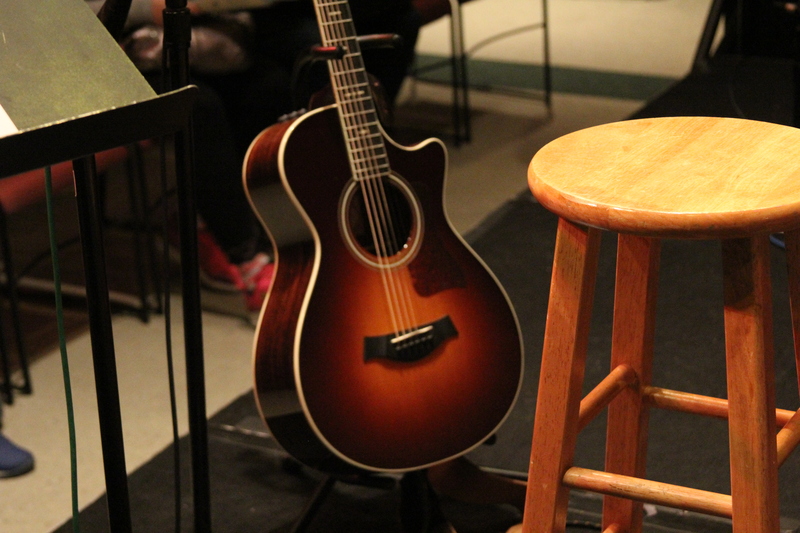 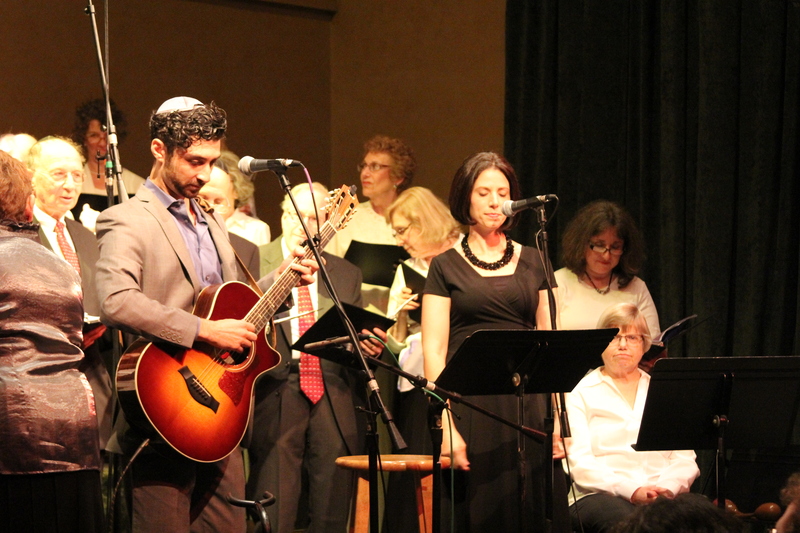 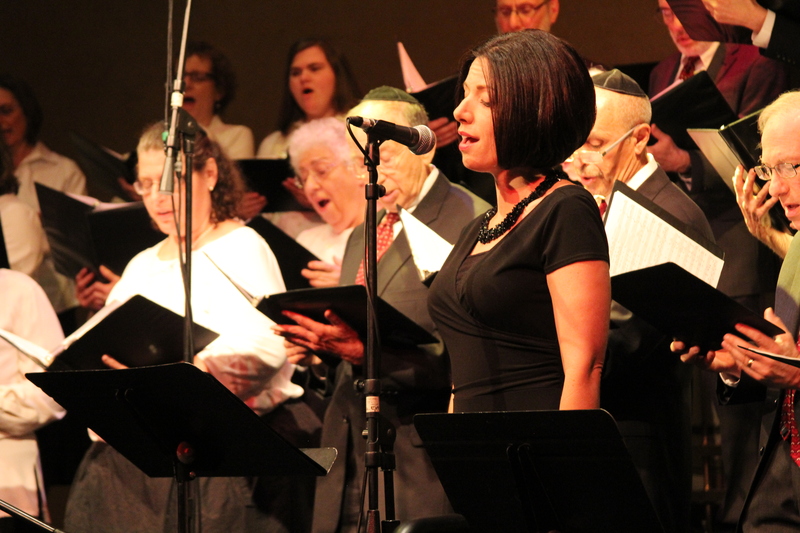 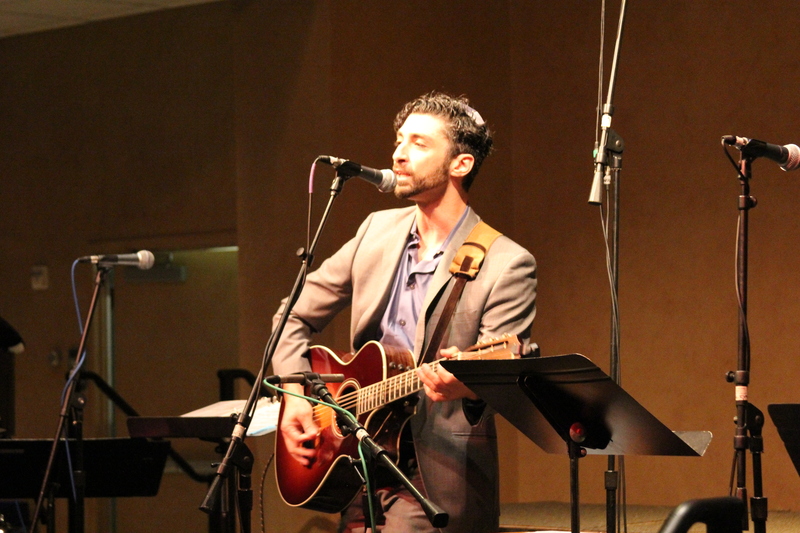 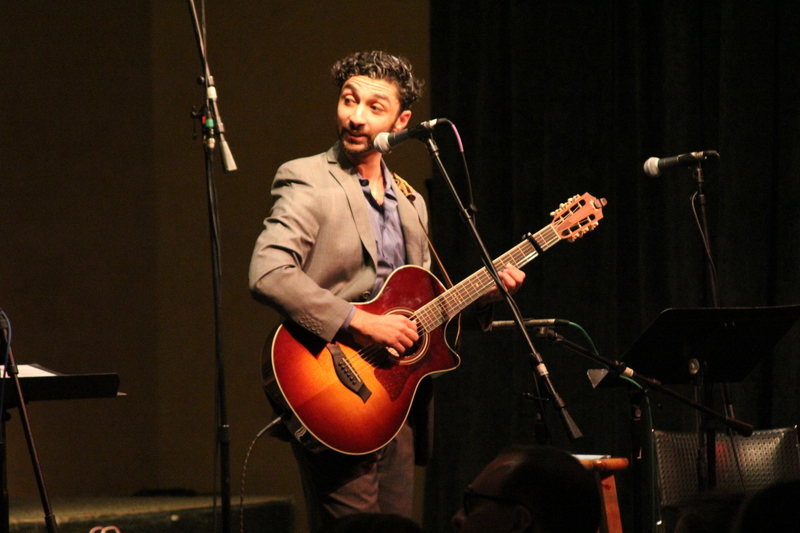 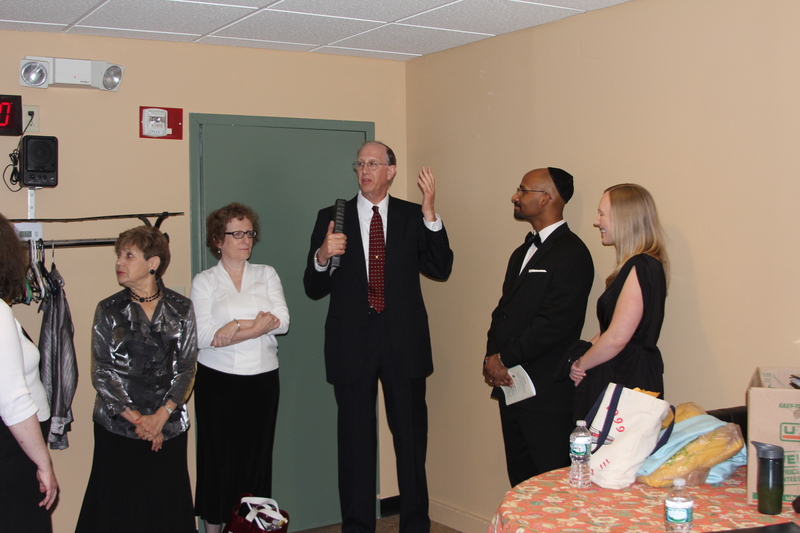 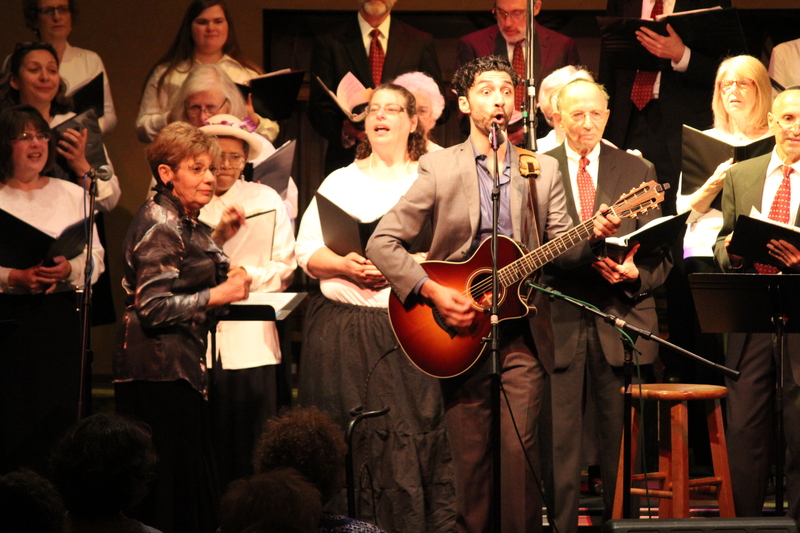 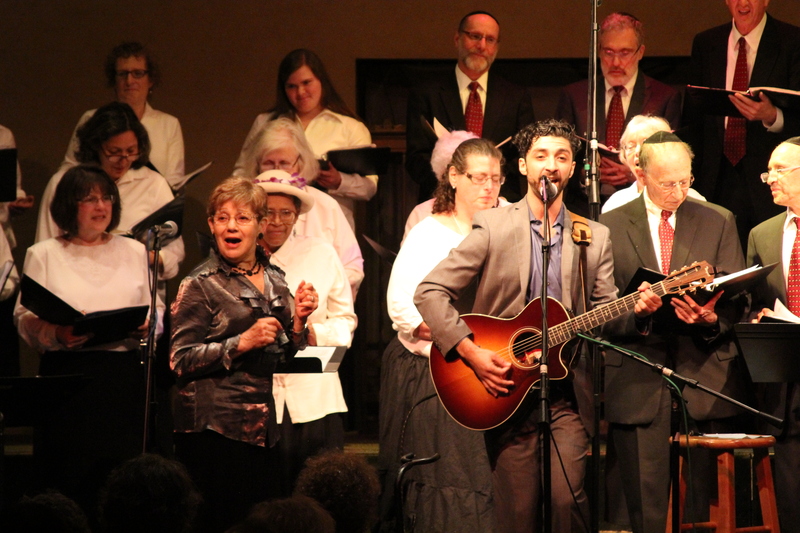 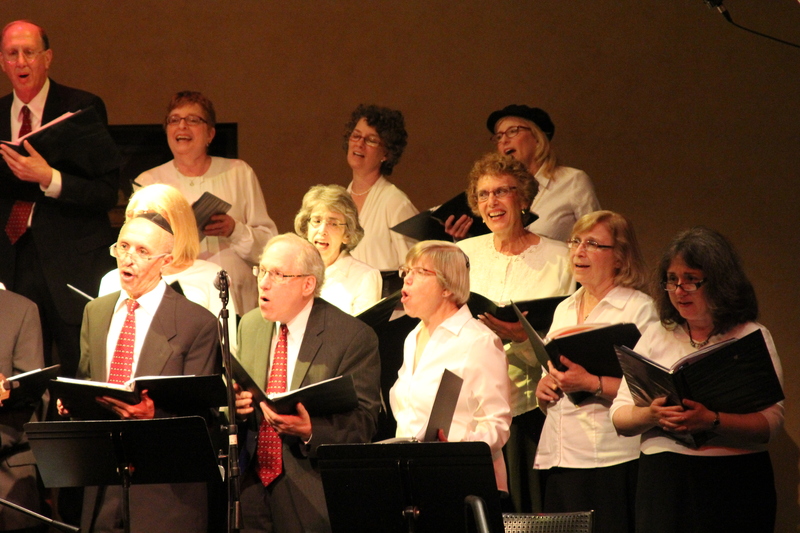 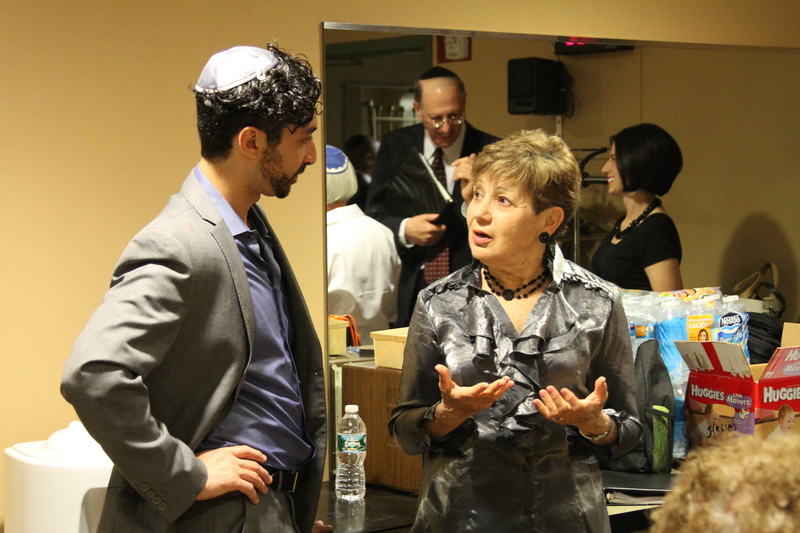 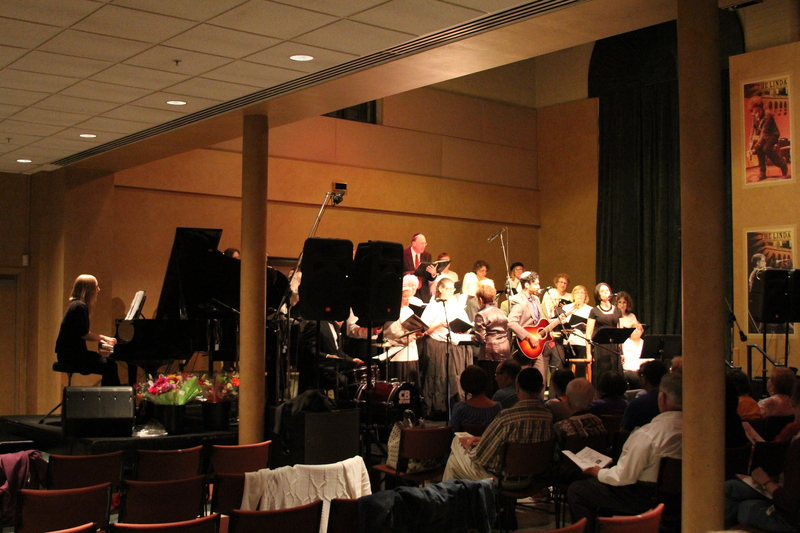 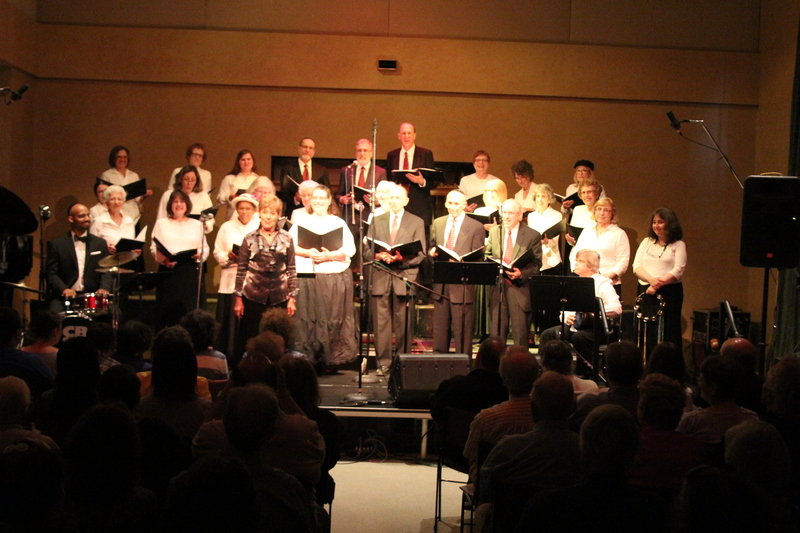 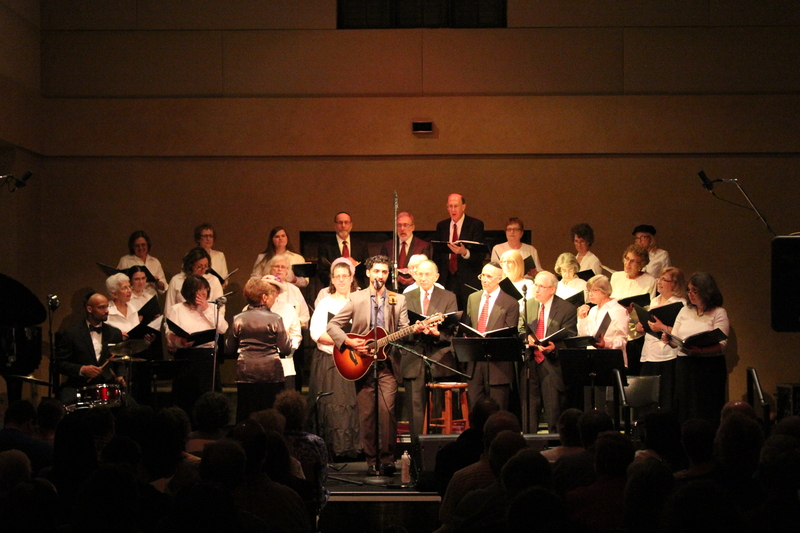 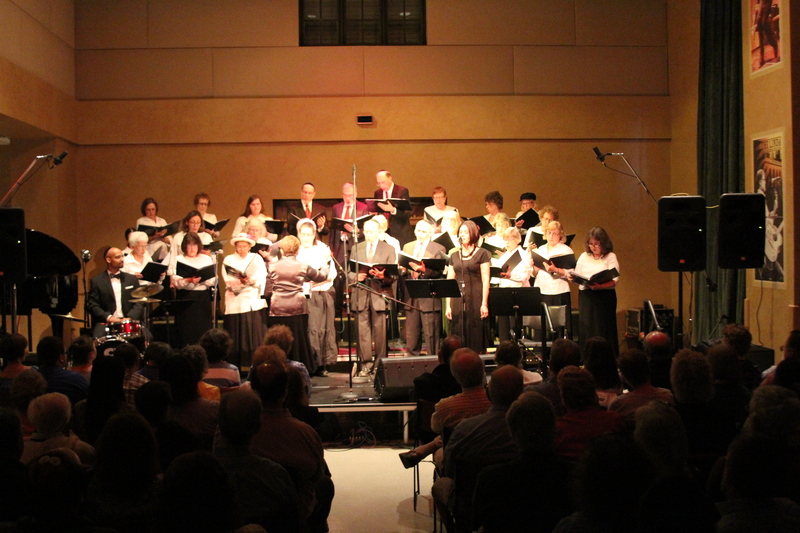 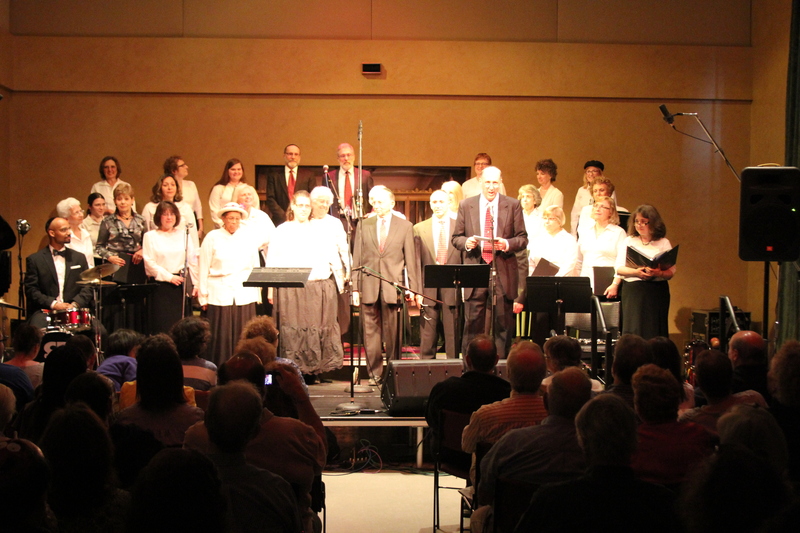 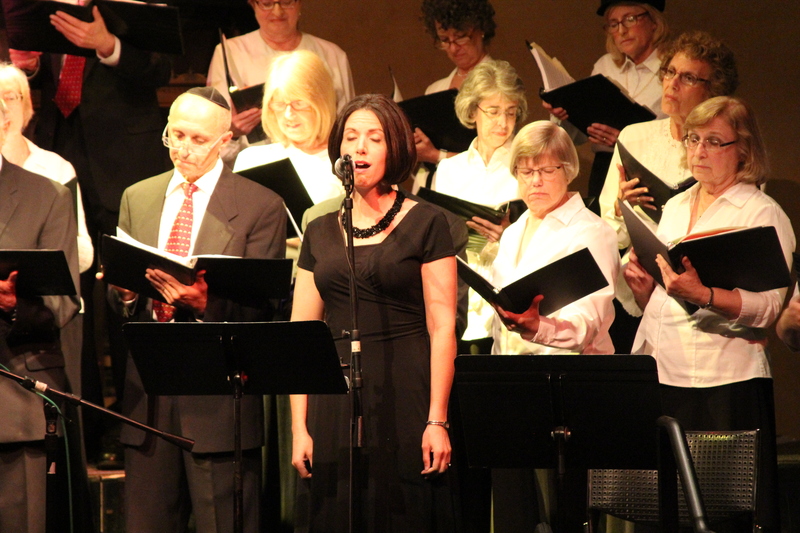 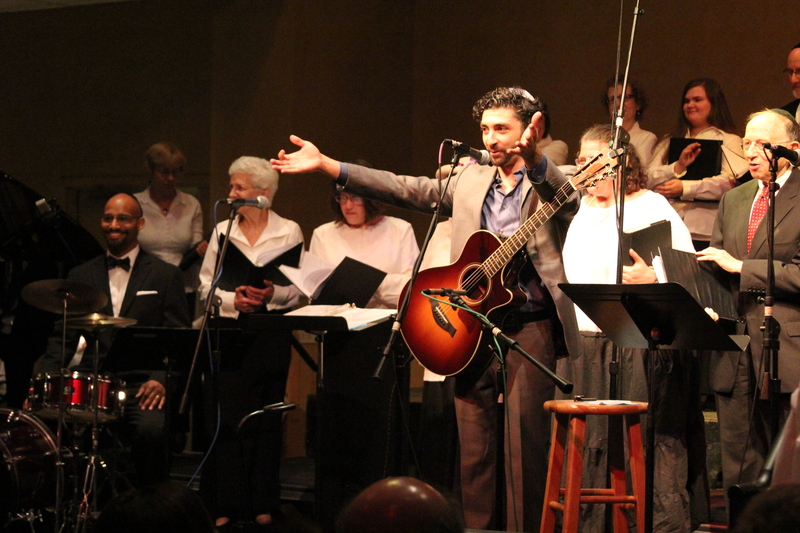 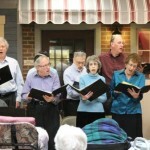 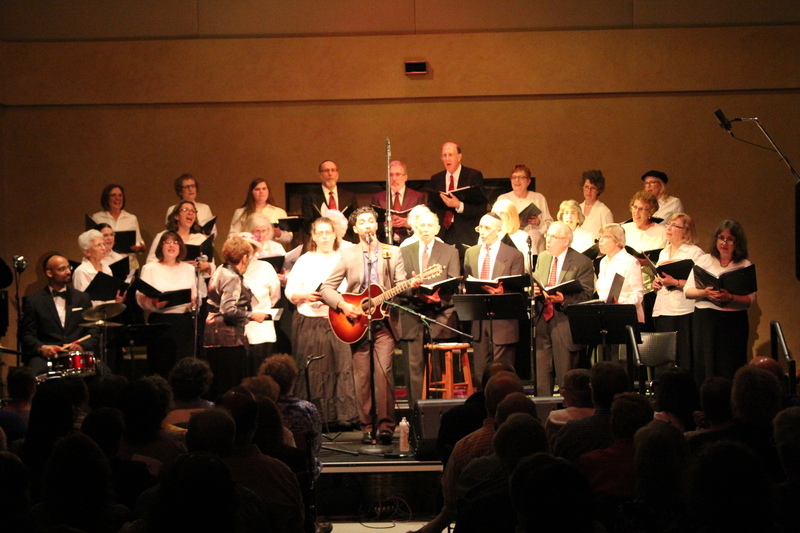 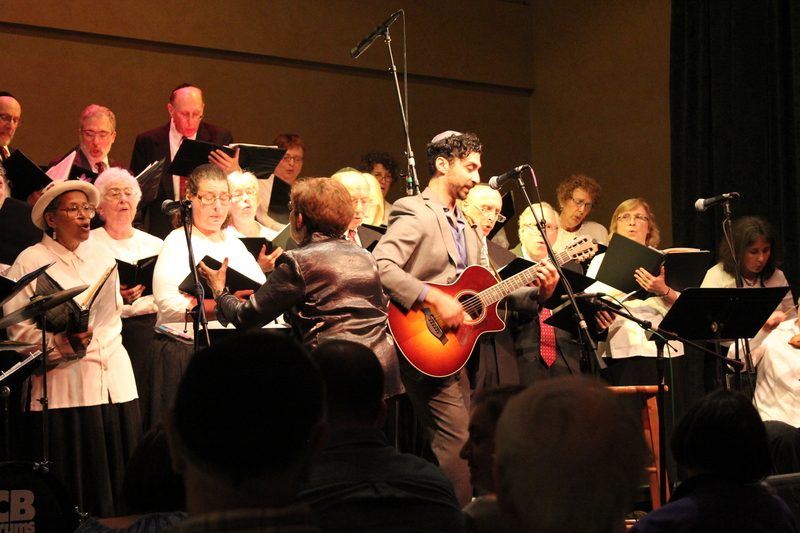 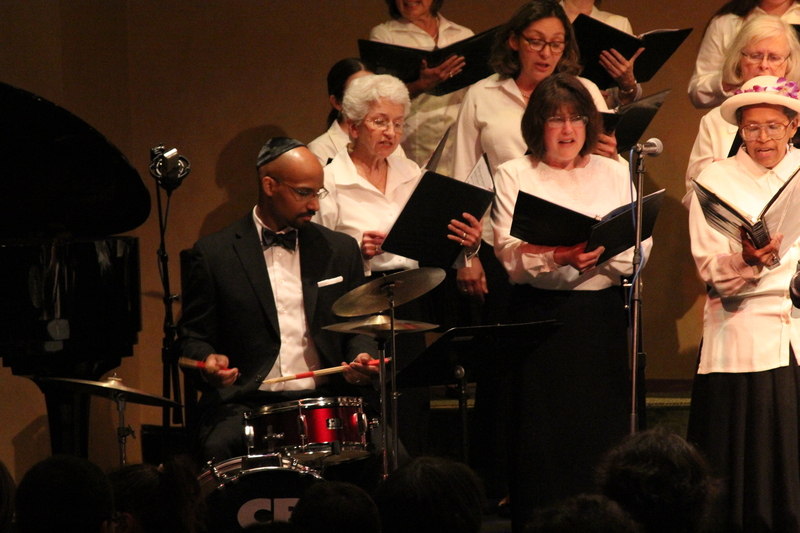 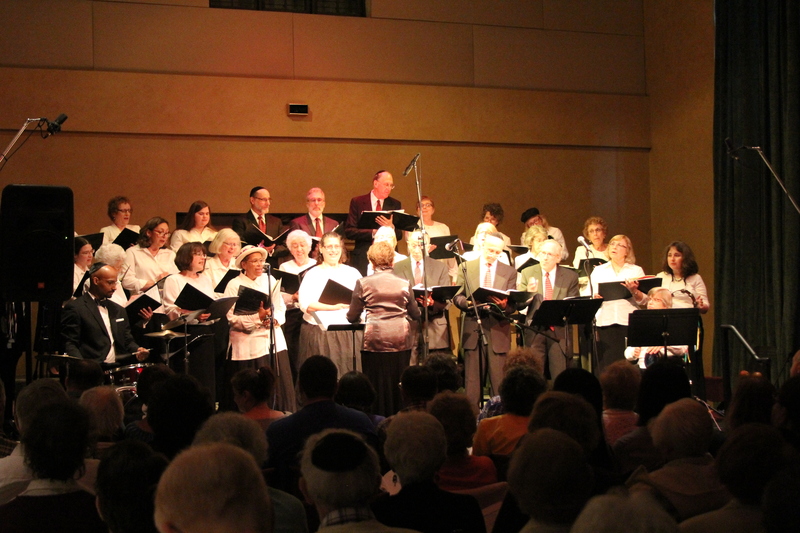 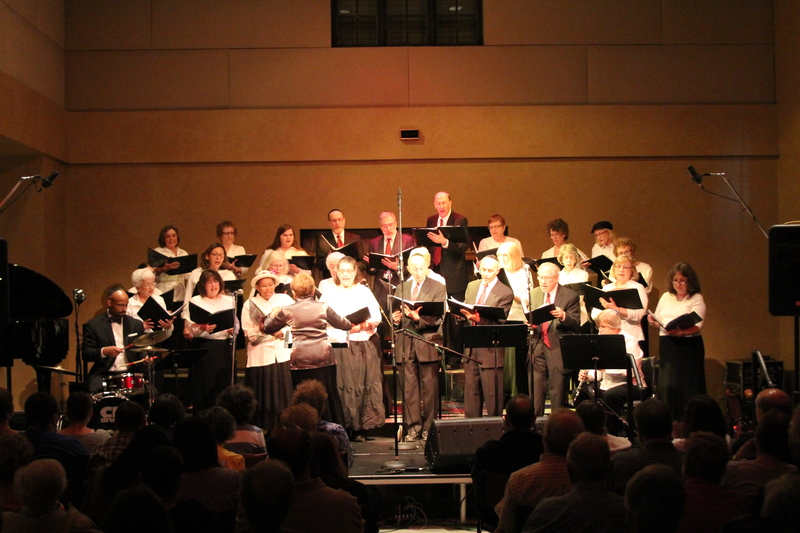 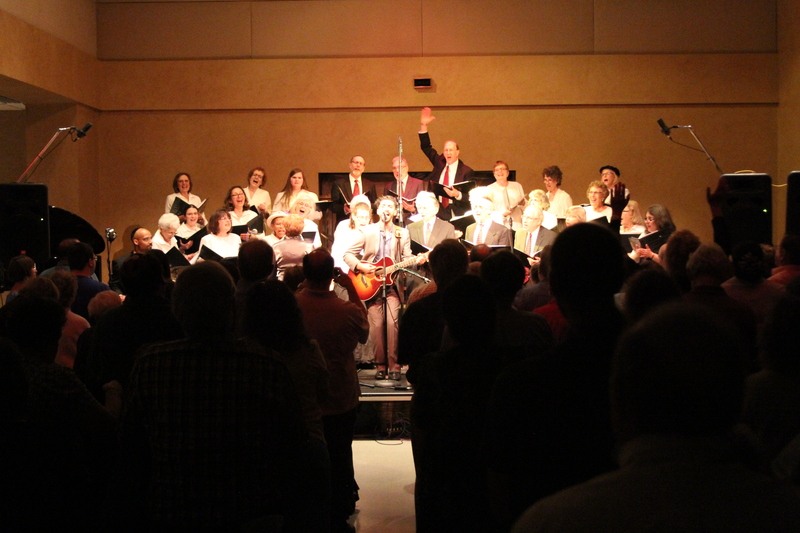 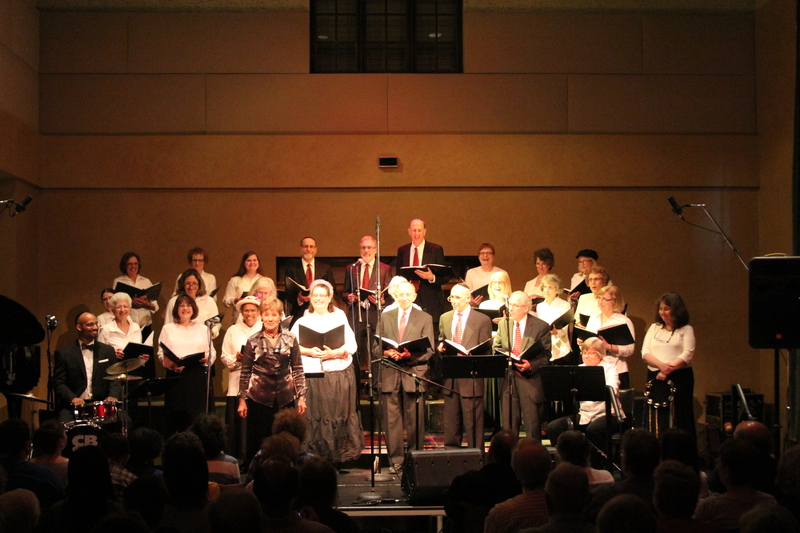 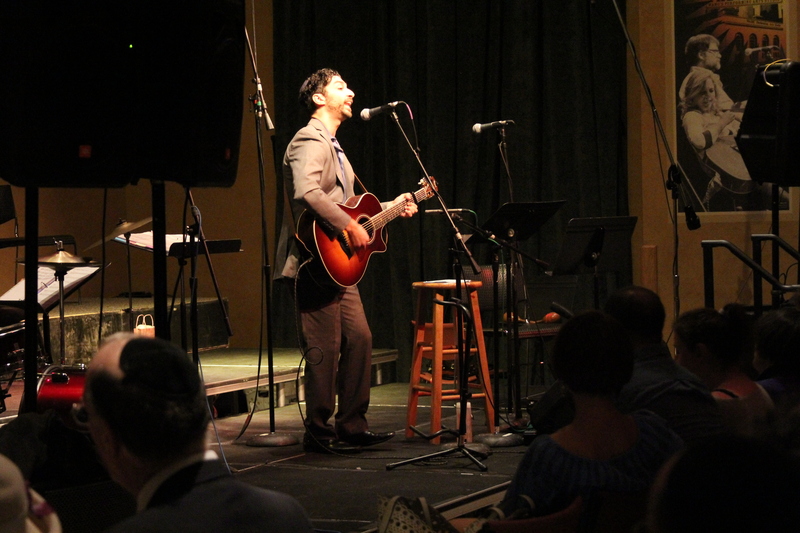 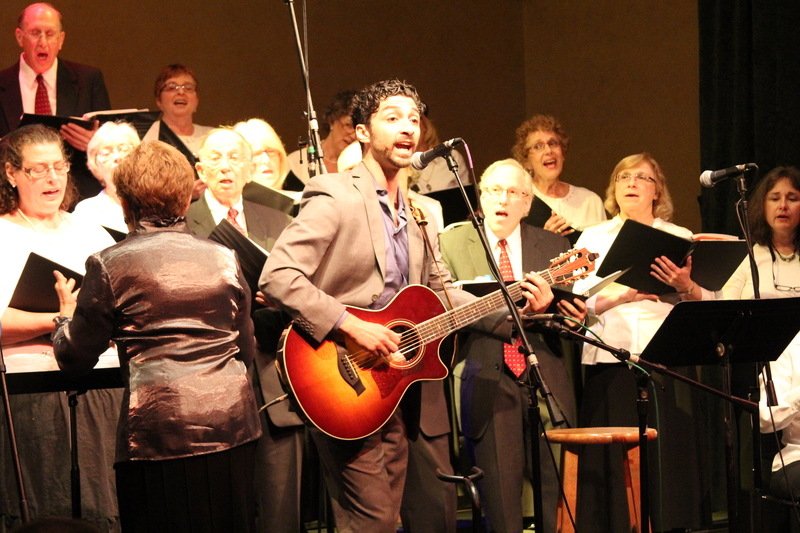 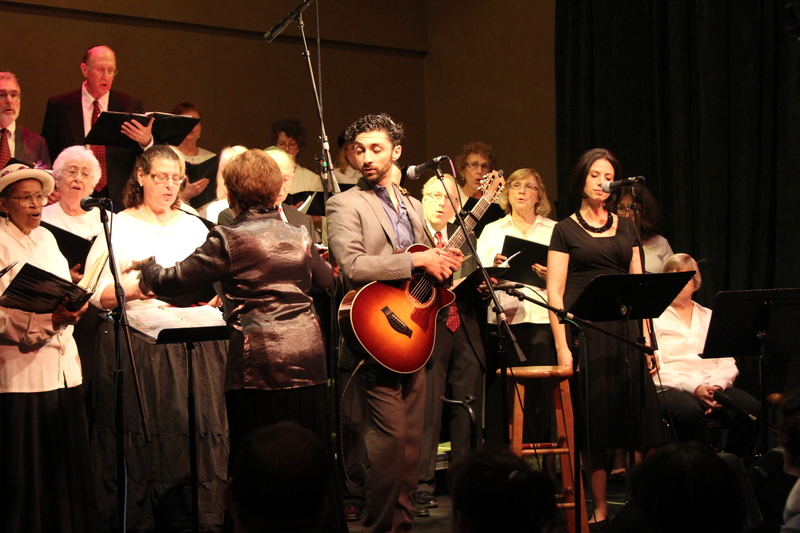 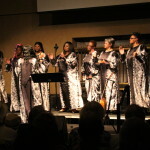 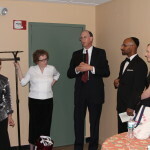 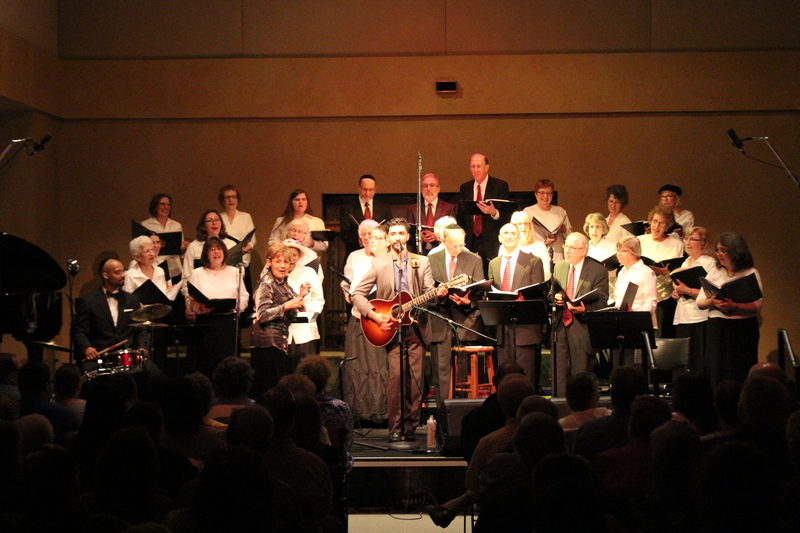 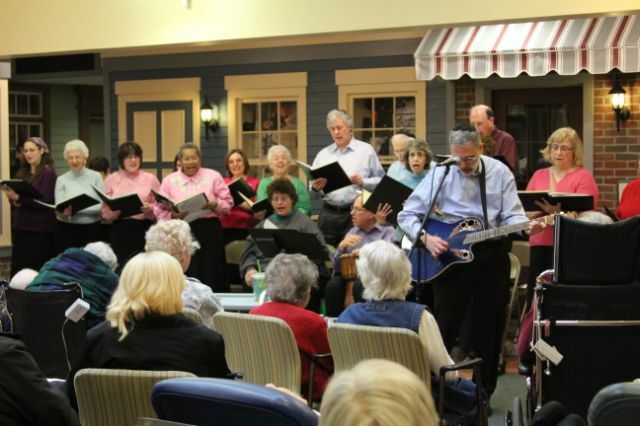 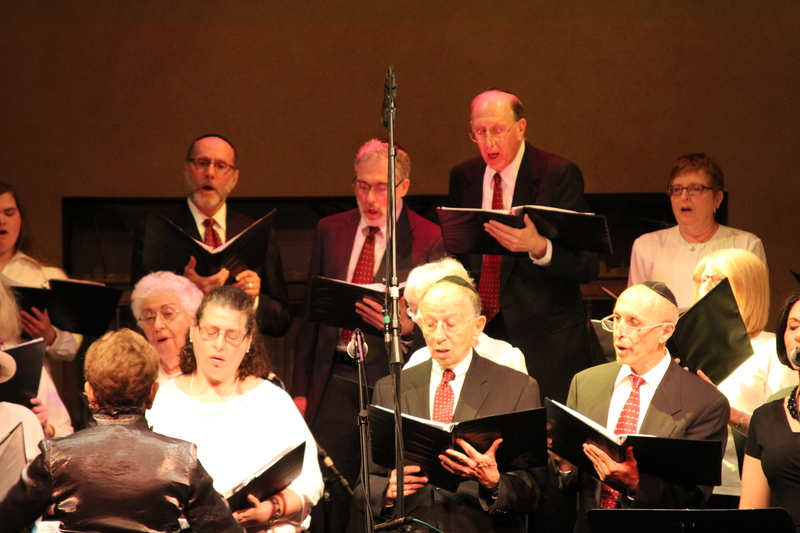 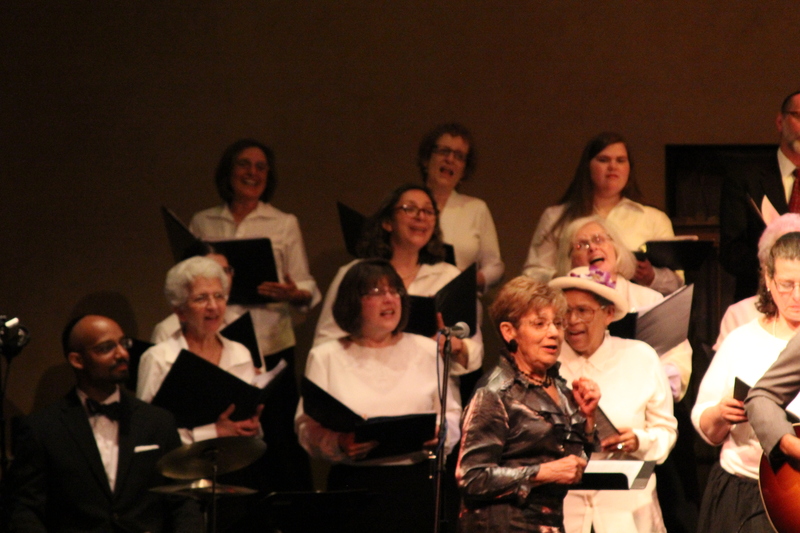 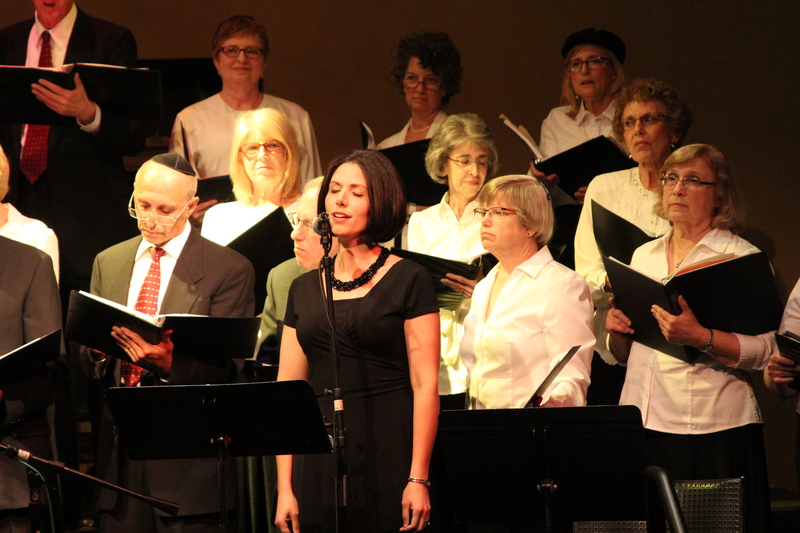 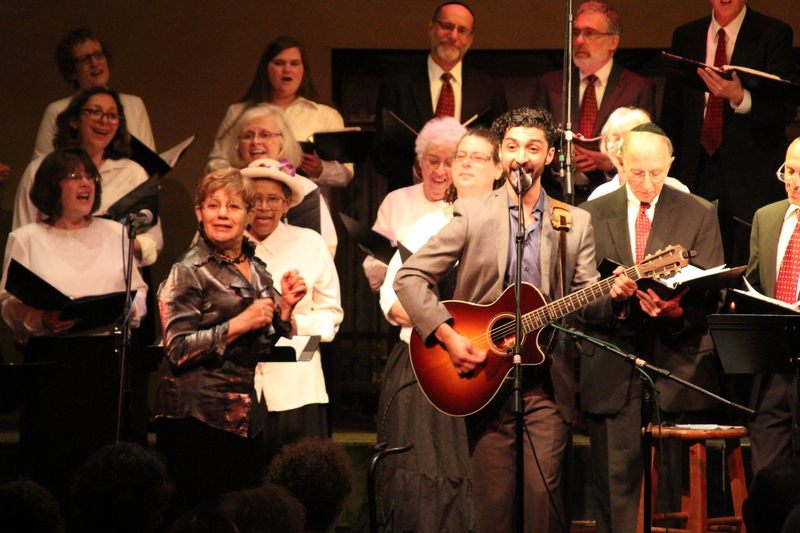 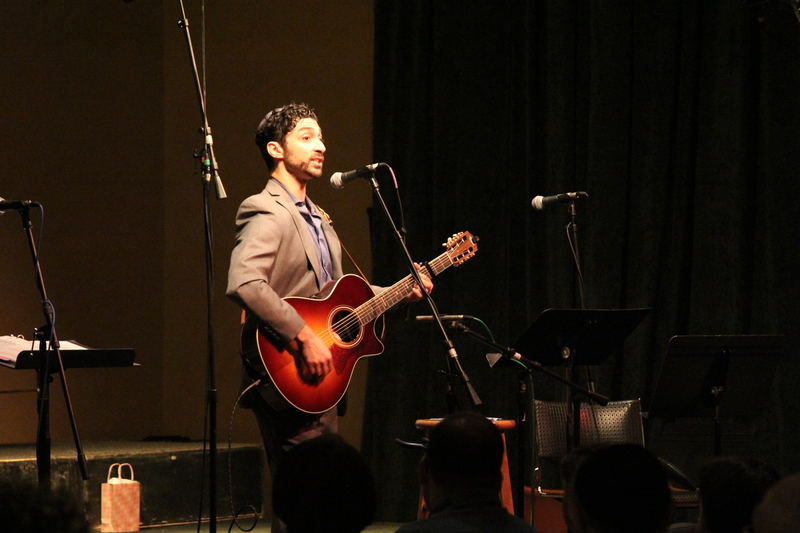 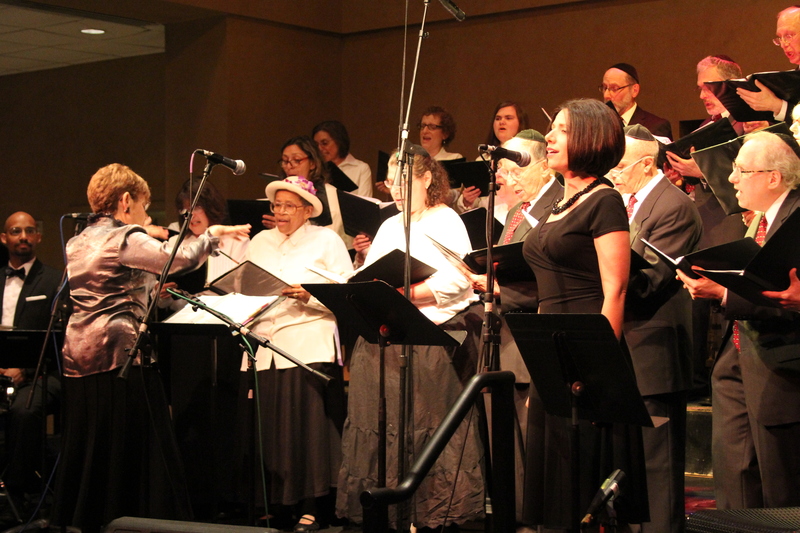 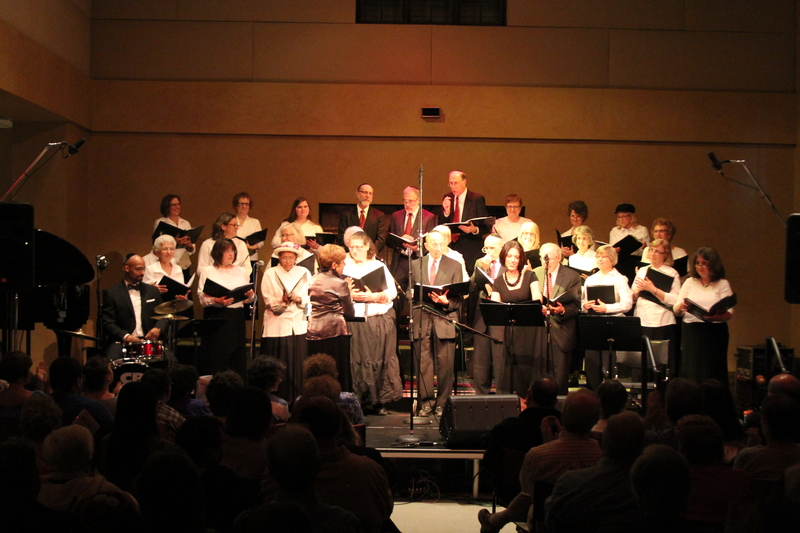 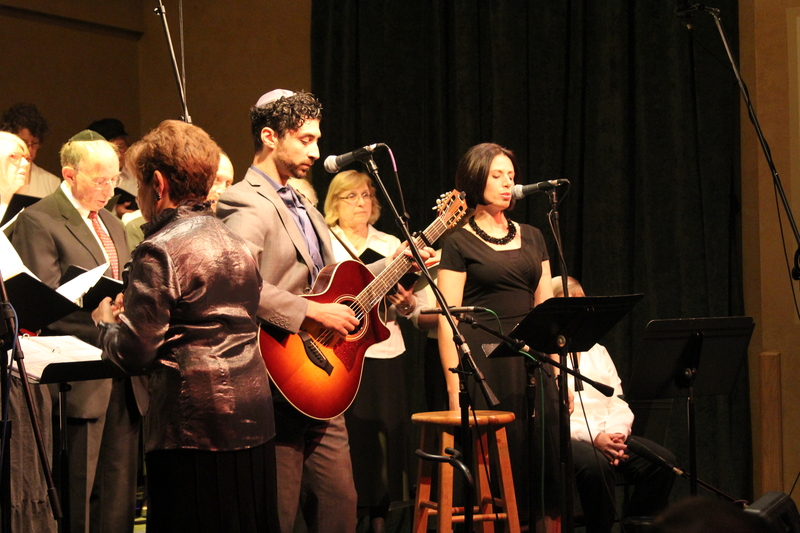 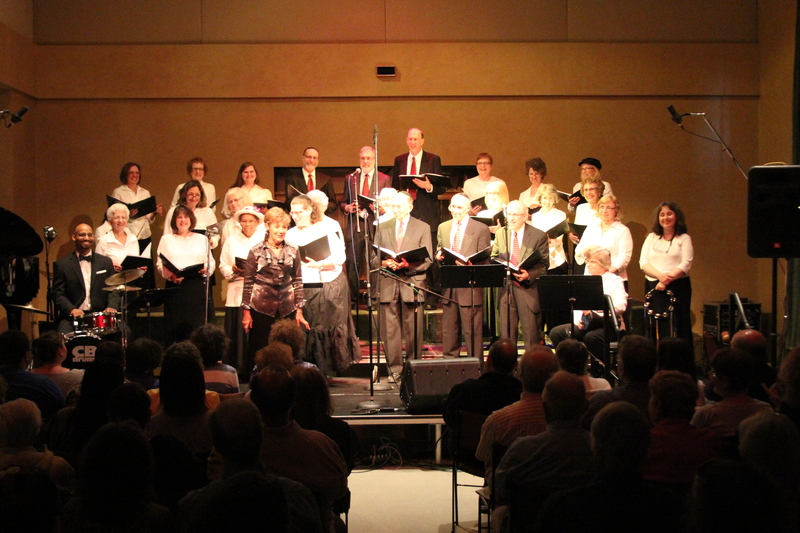 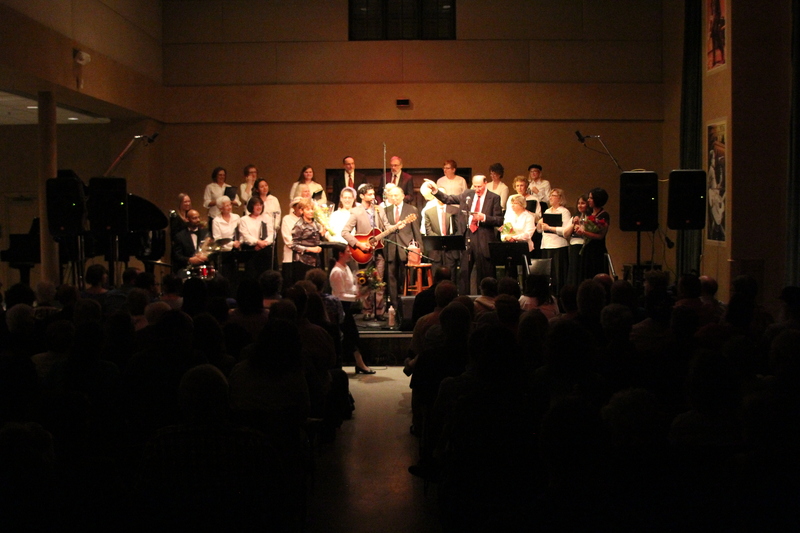 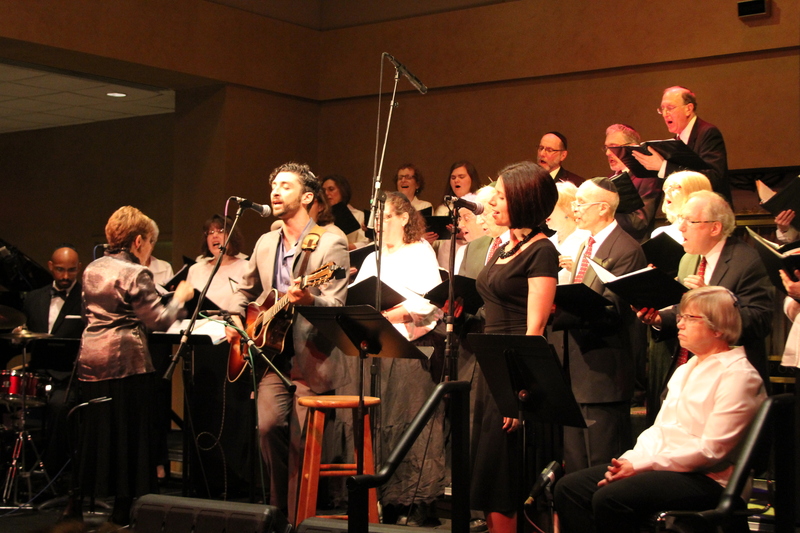 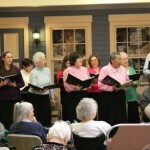 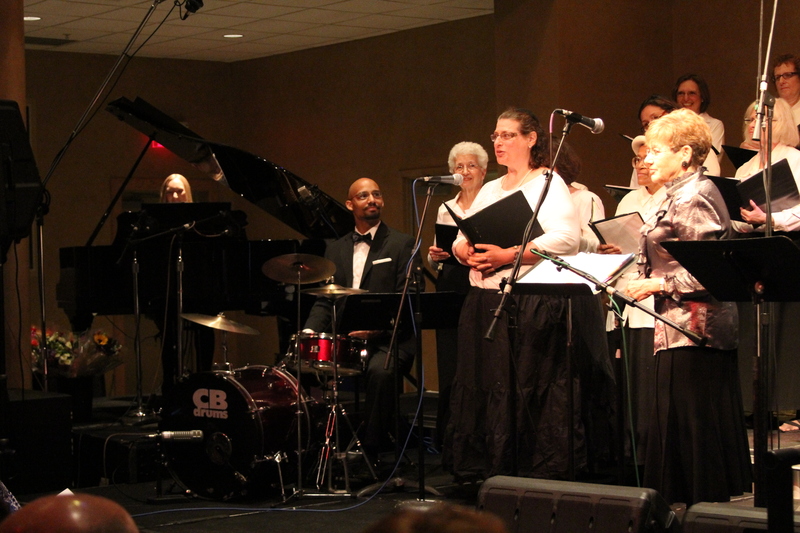 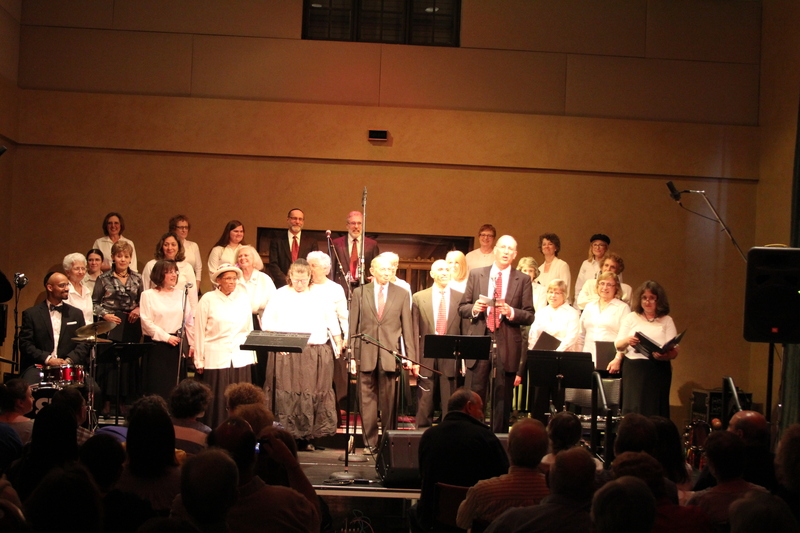 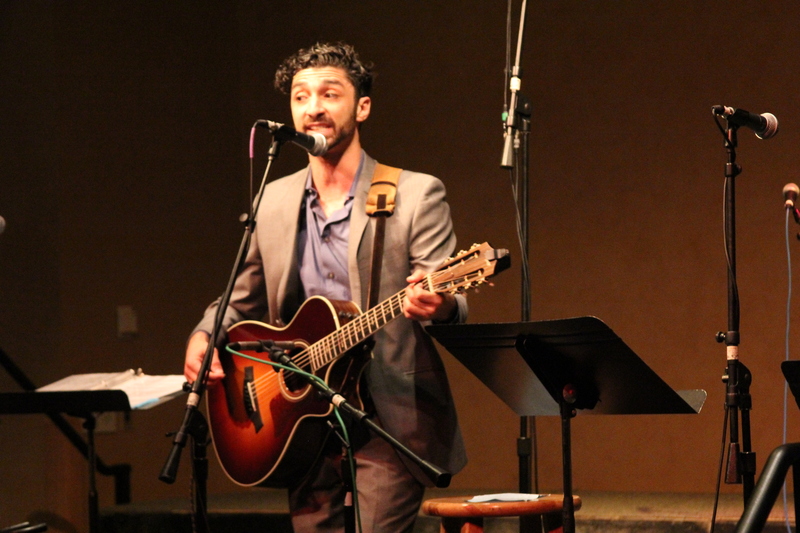 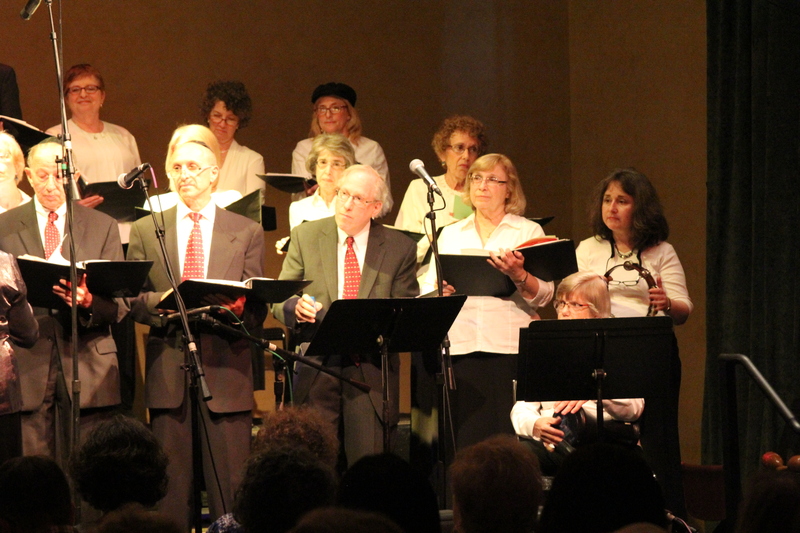 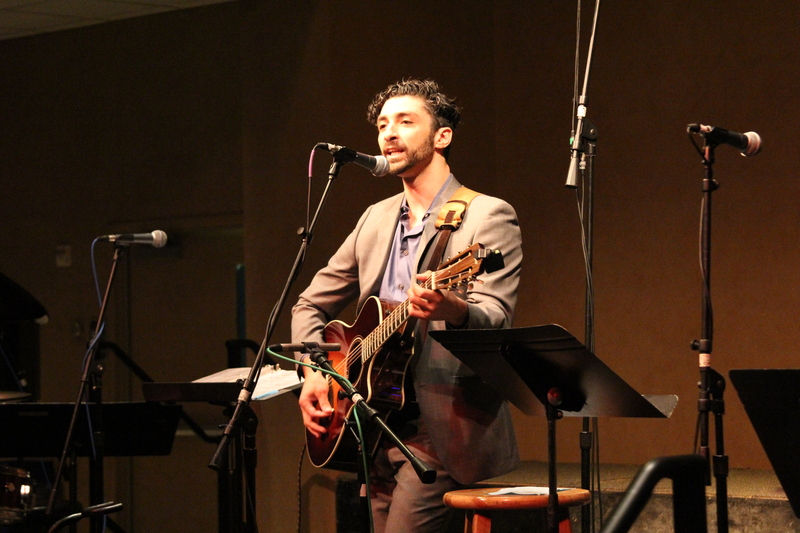 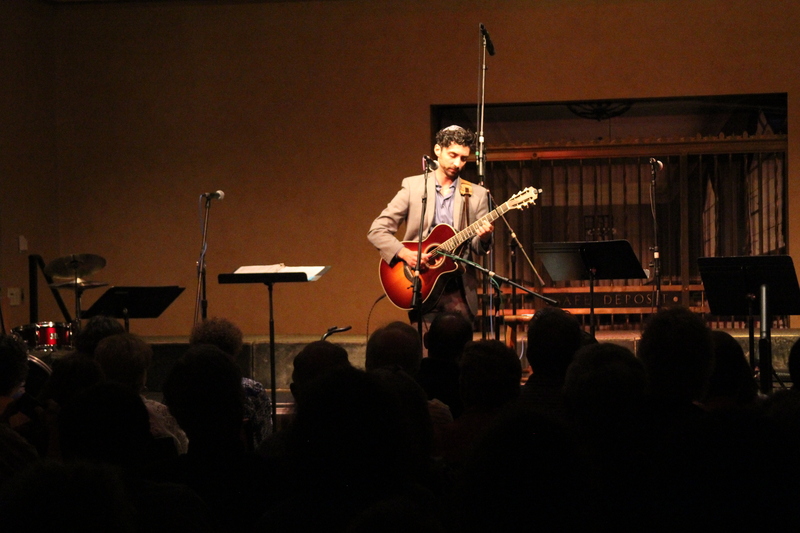 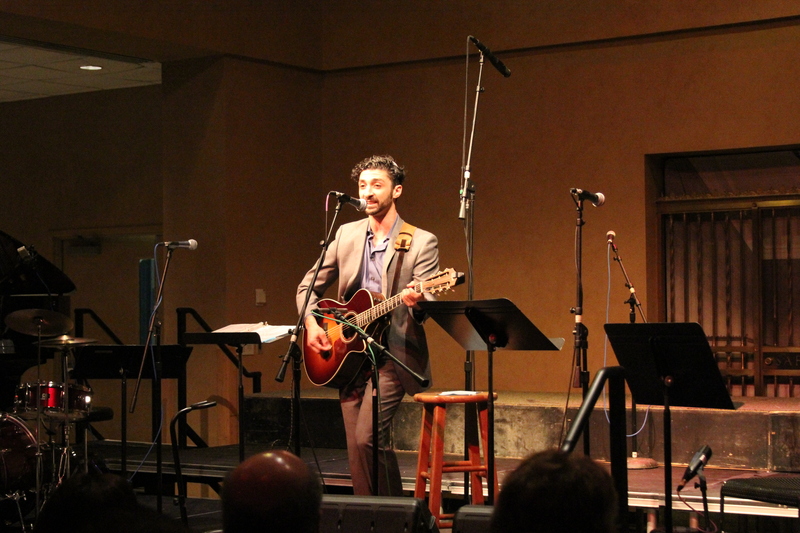 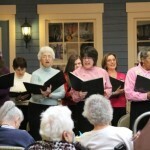 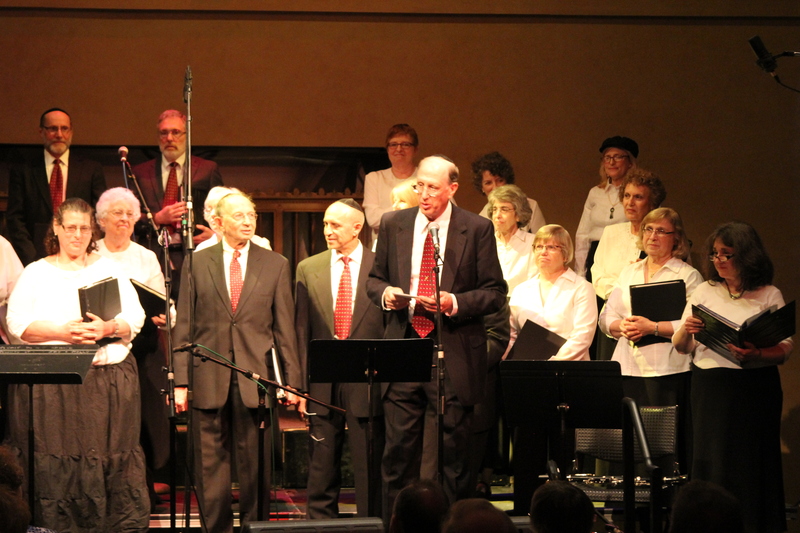 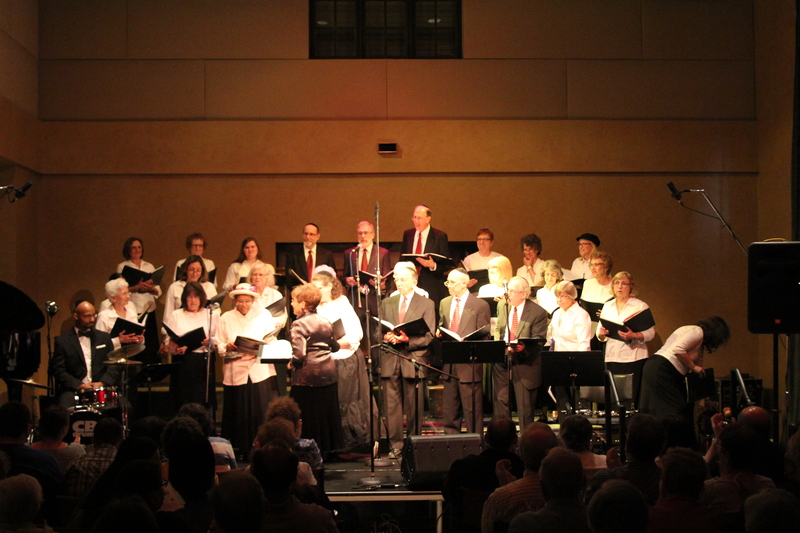 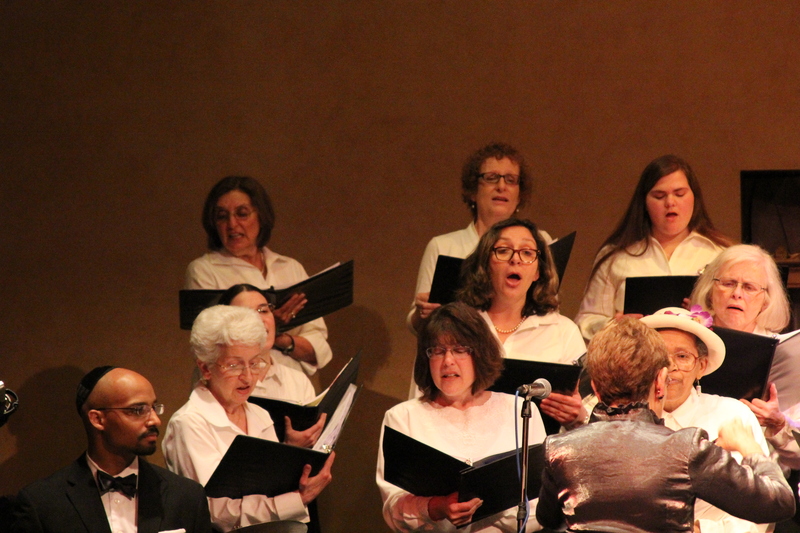 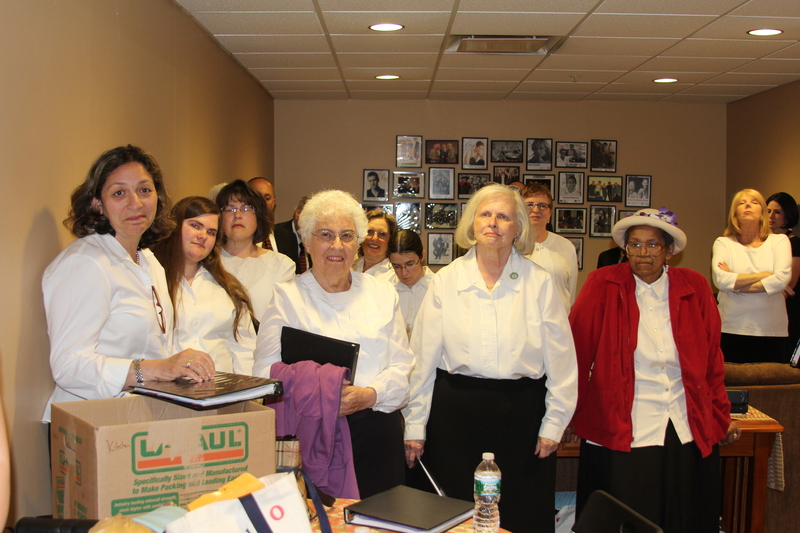 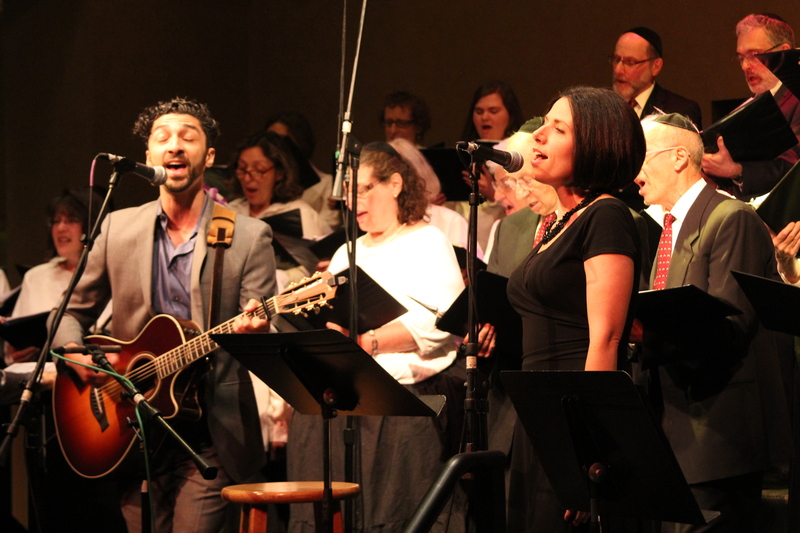 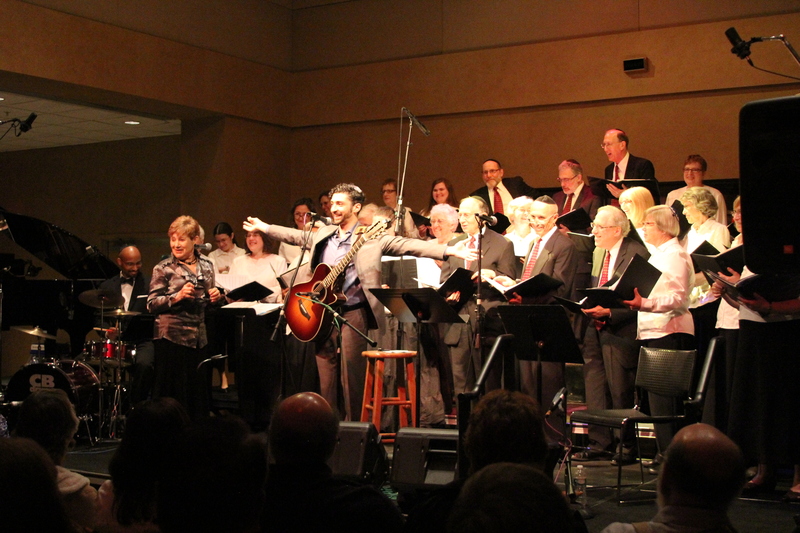 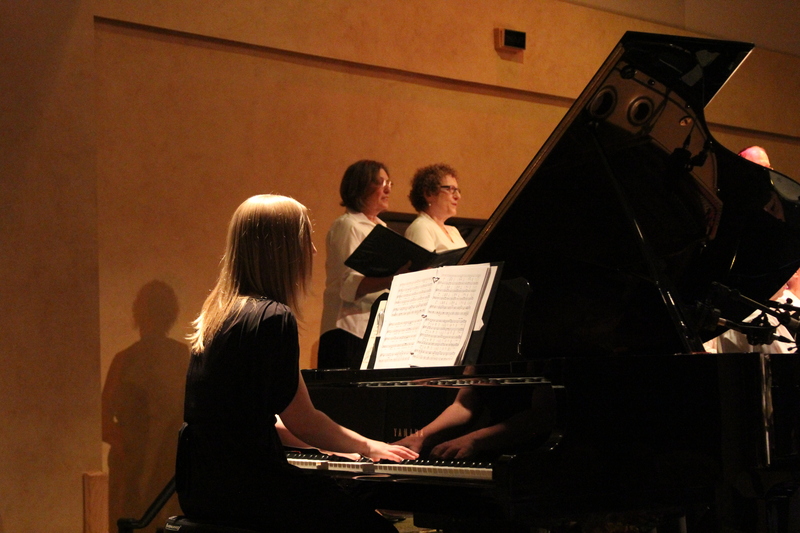 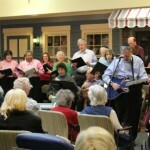 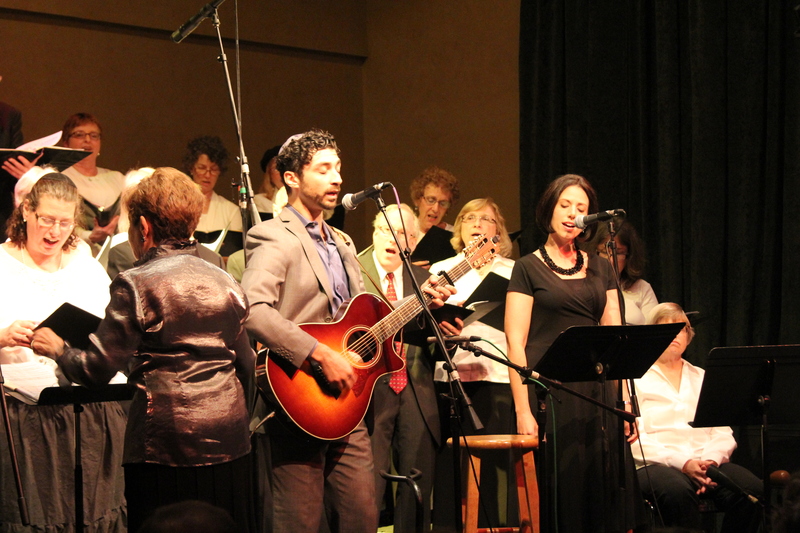 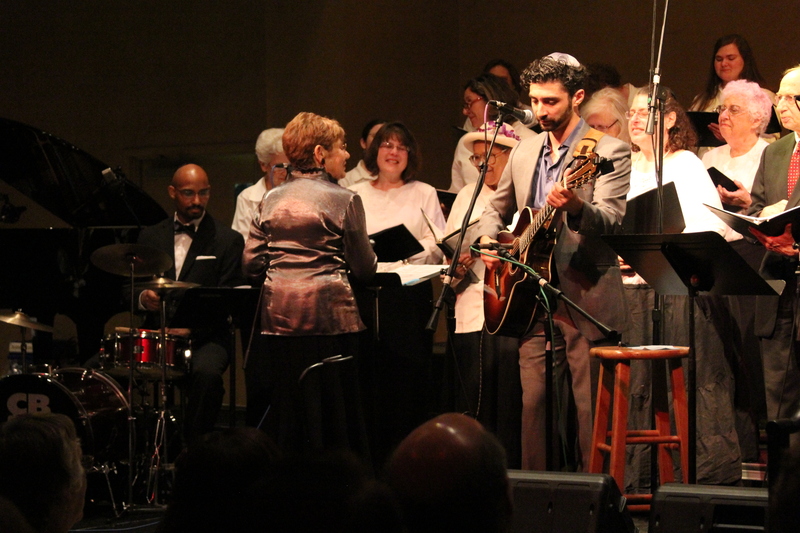 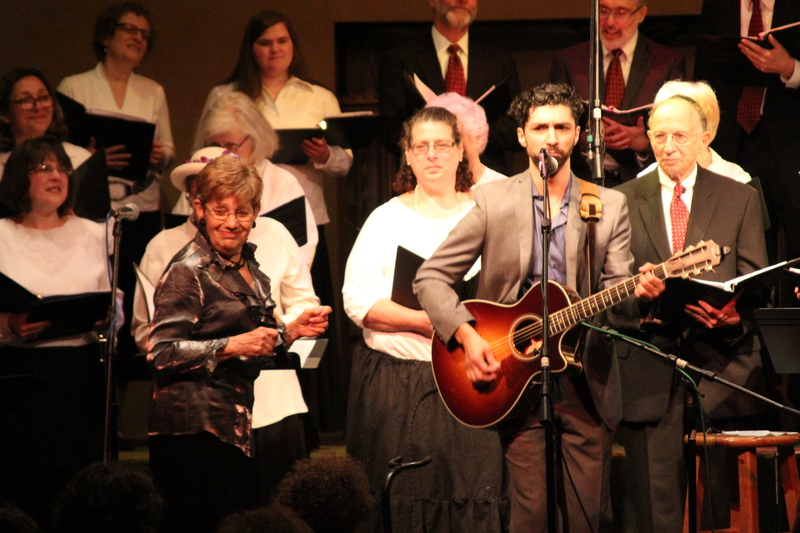 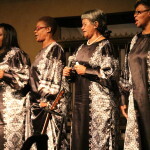 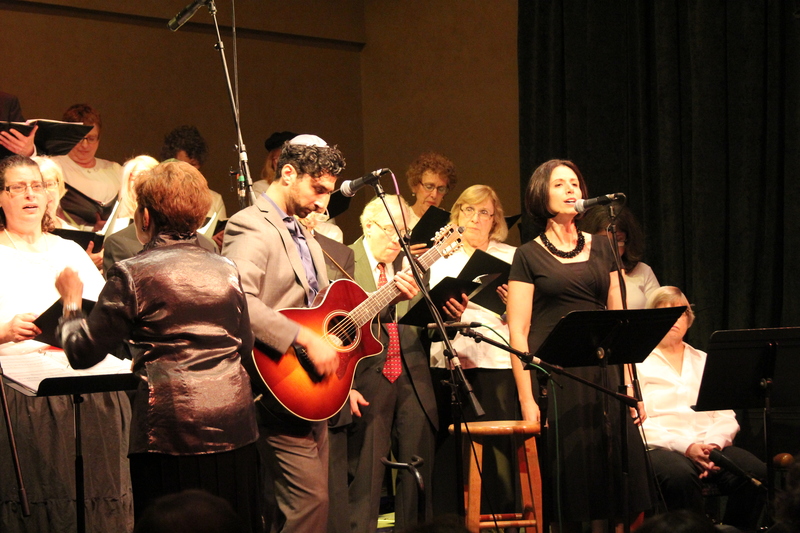 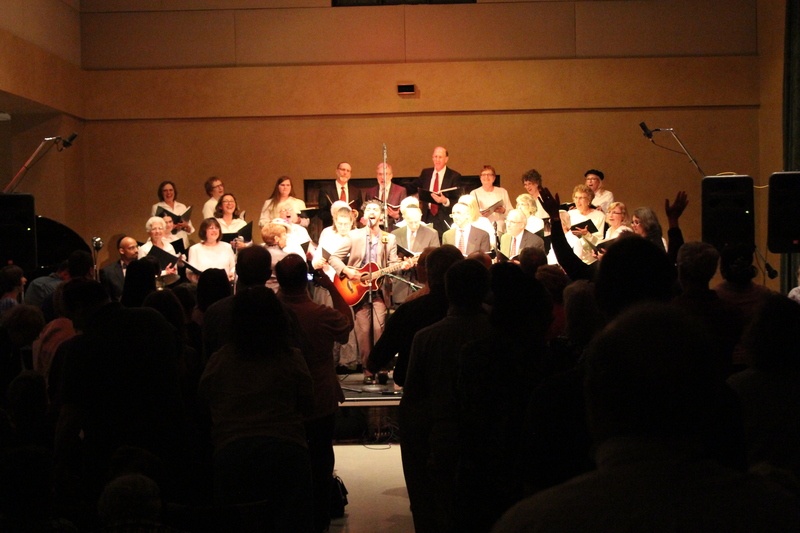 Thank you to Stephen Justa for these photographs of our Chanukah performance at Daughters of Sarah on December 8, 2013.